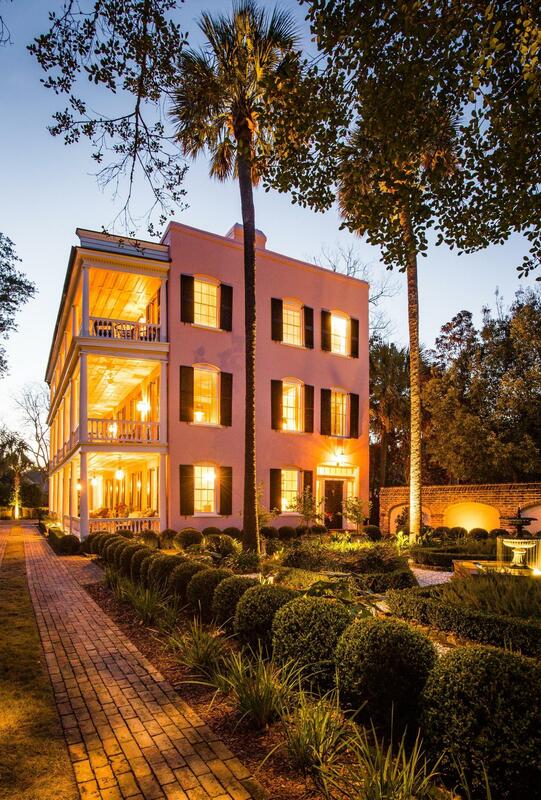 Elegance, history, and unparalleled privacy all mark the Robert Trail Chisholm house, circa 1838. 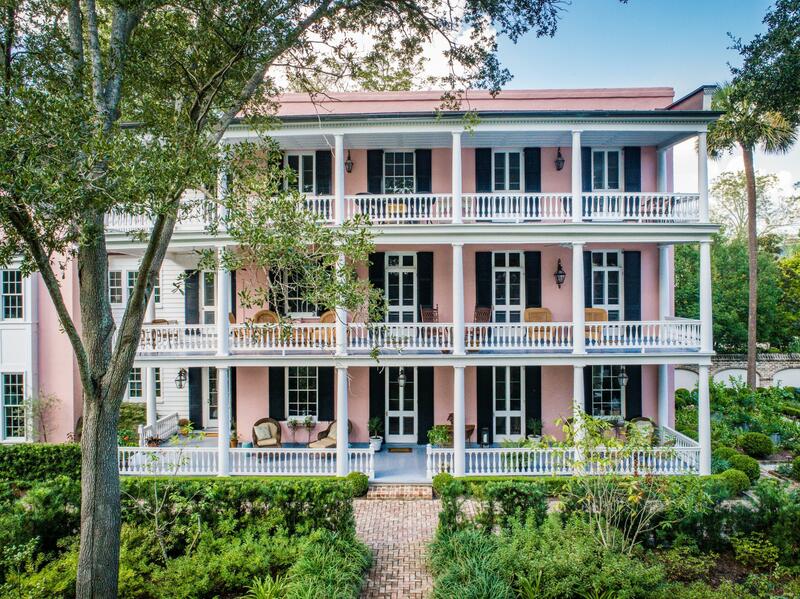 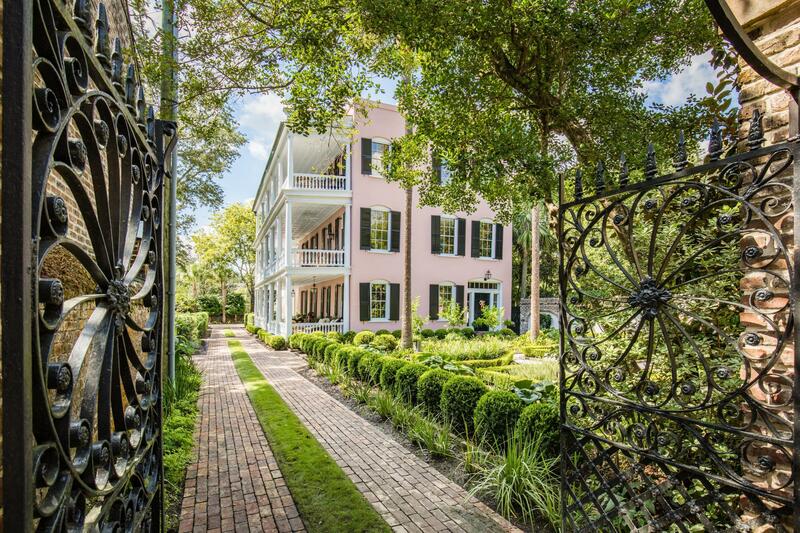 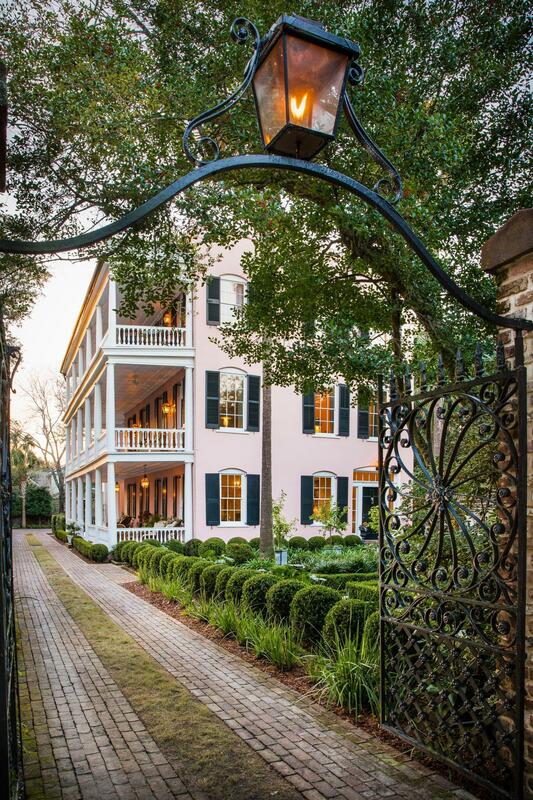 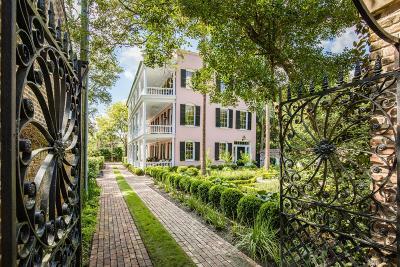 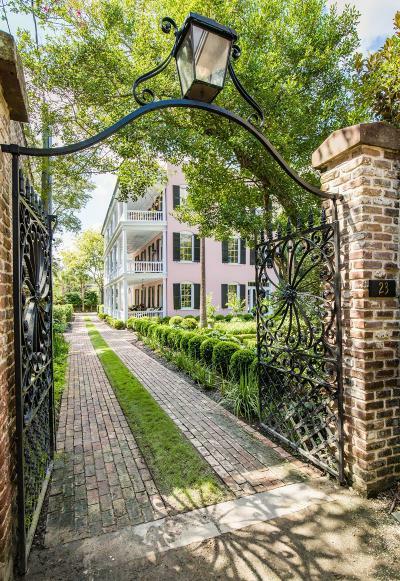 One passes down the private drive from Legare Street through the imposing, wrought iron gates to the charming Greek Revival mansion. 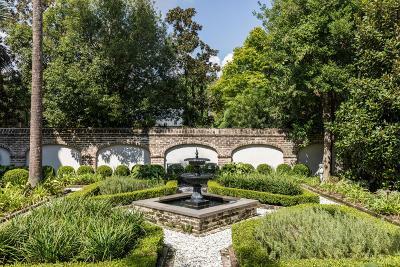 Situated in the park-like setting of its 1/2 acre grounds, the estate is a self-contained world of serenity and quiet. 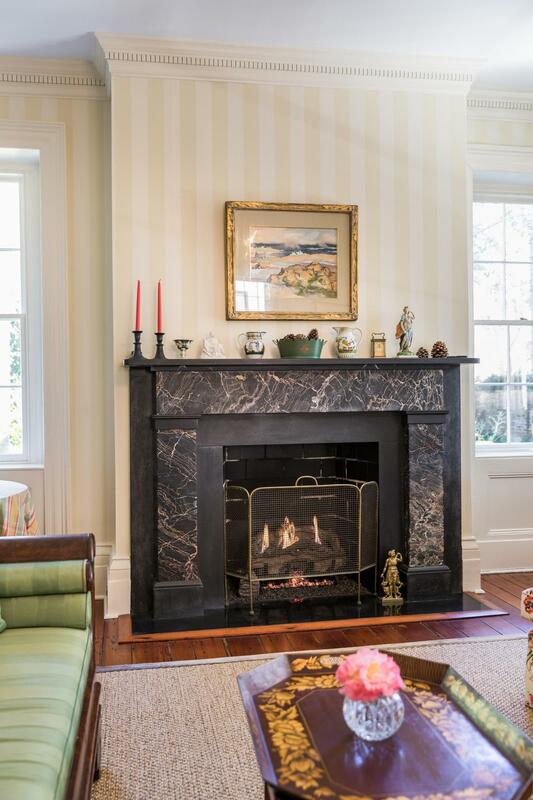 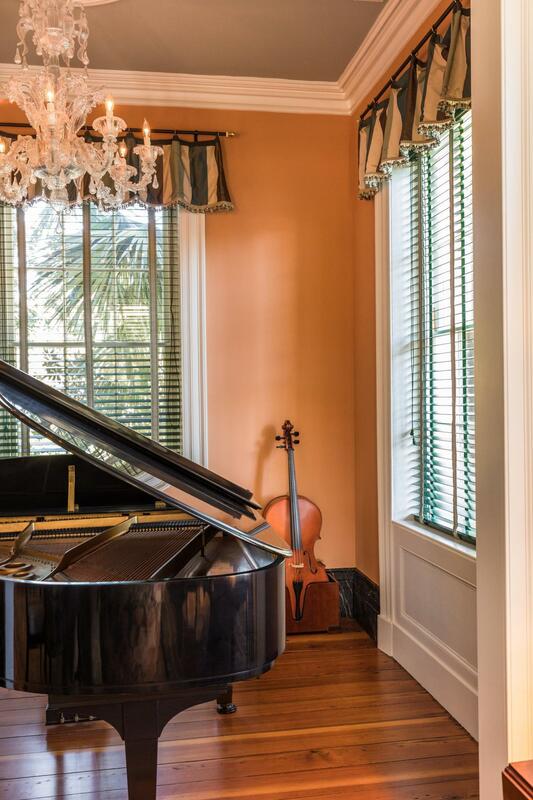 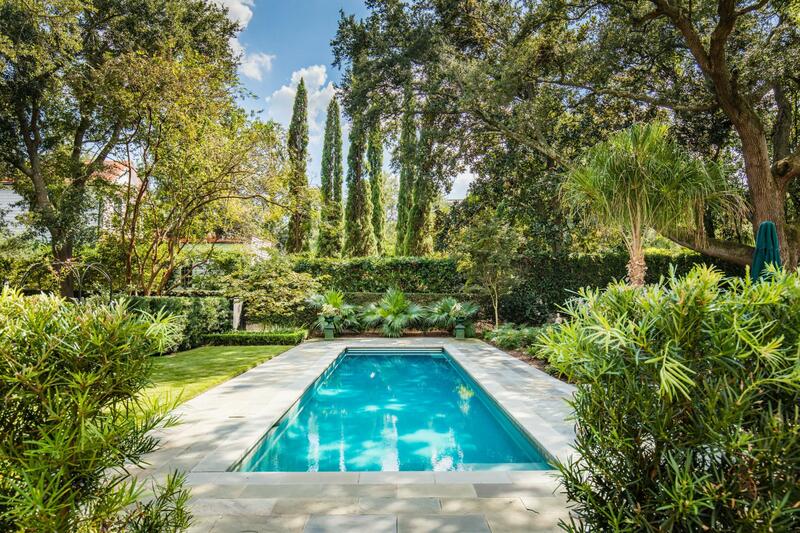 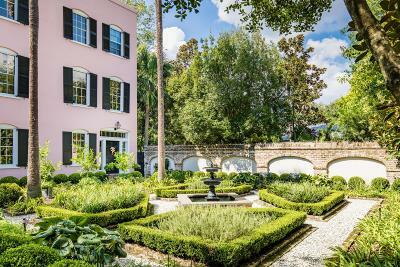 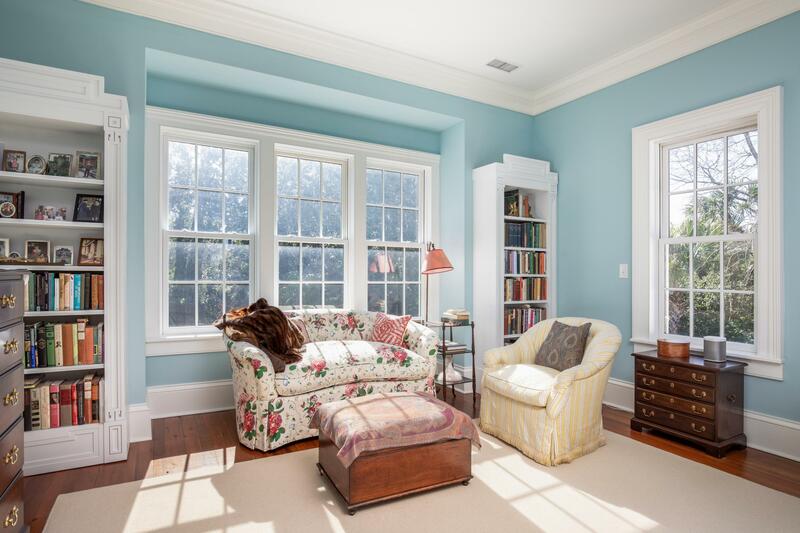 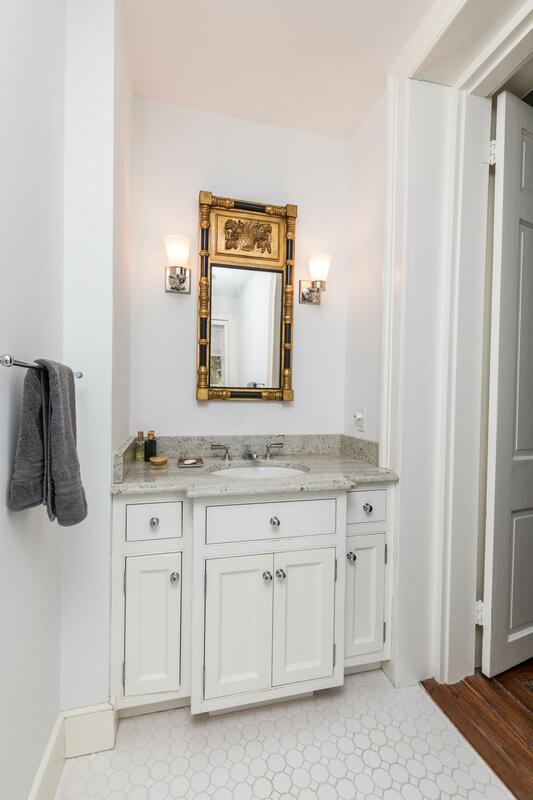 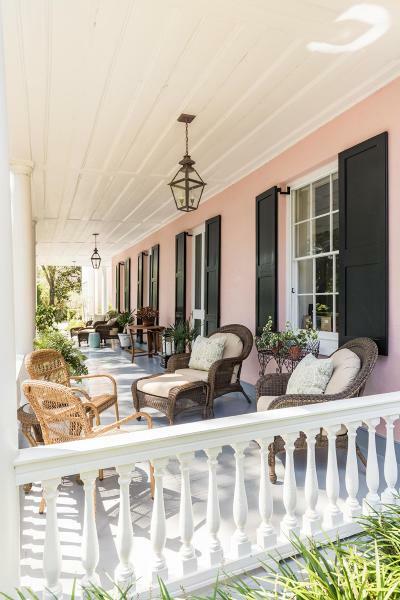 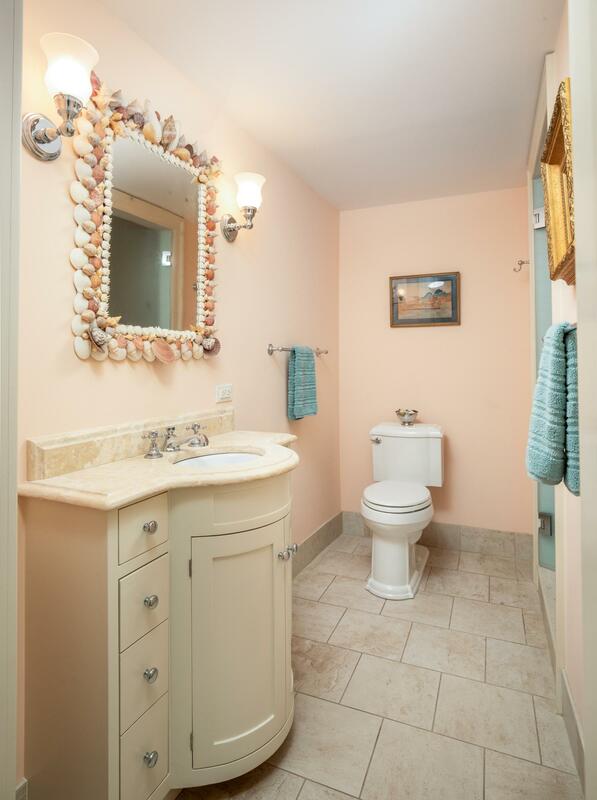 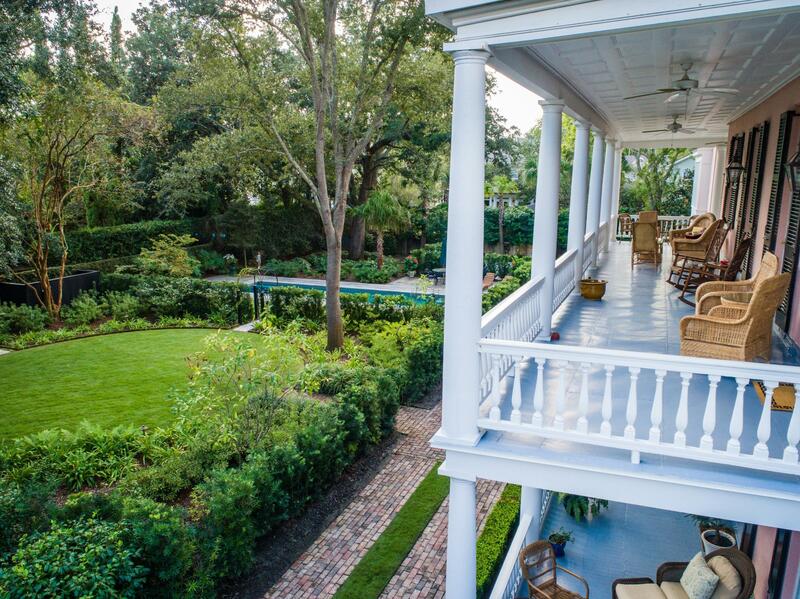 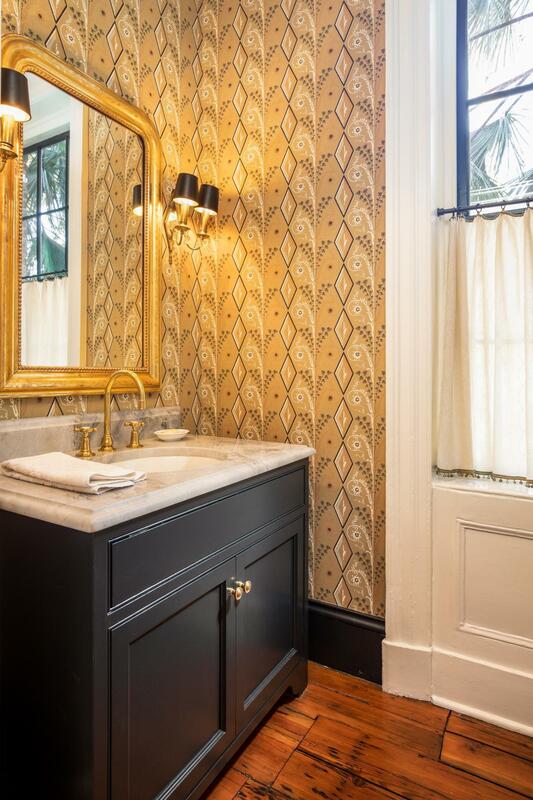 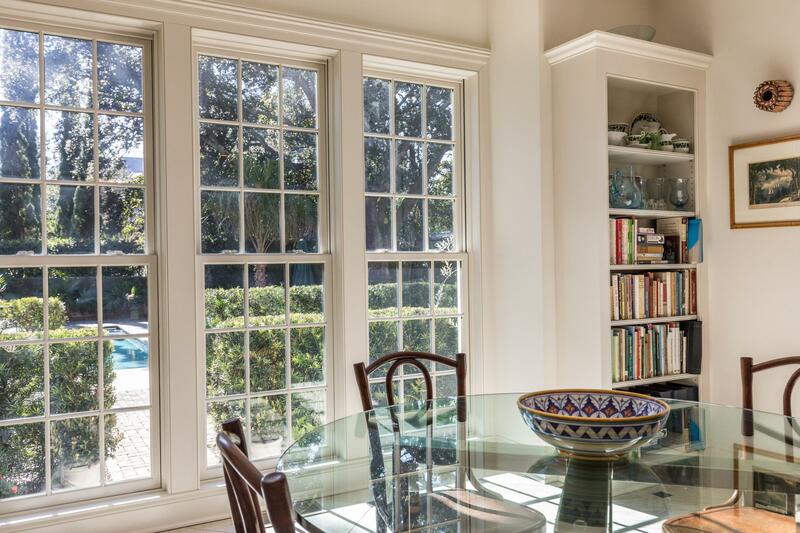 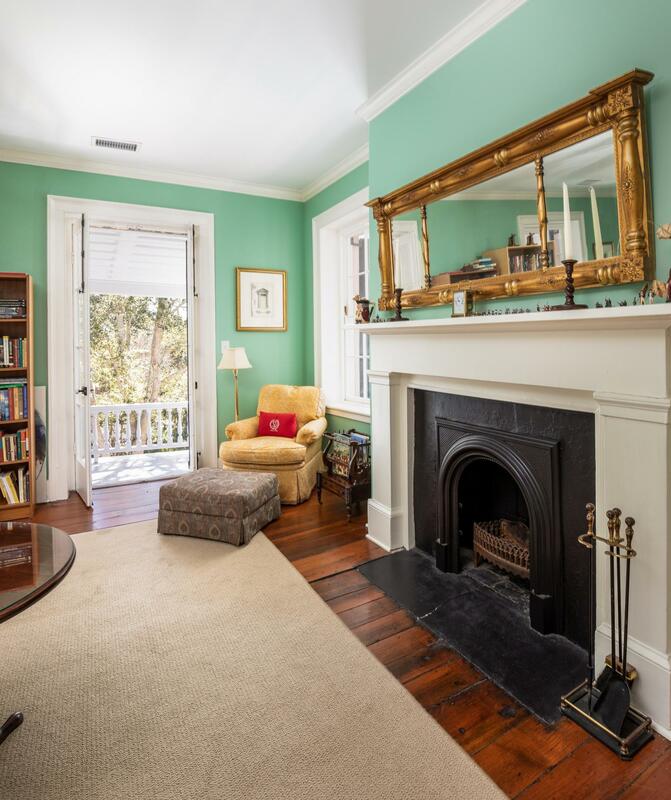 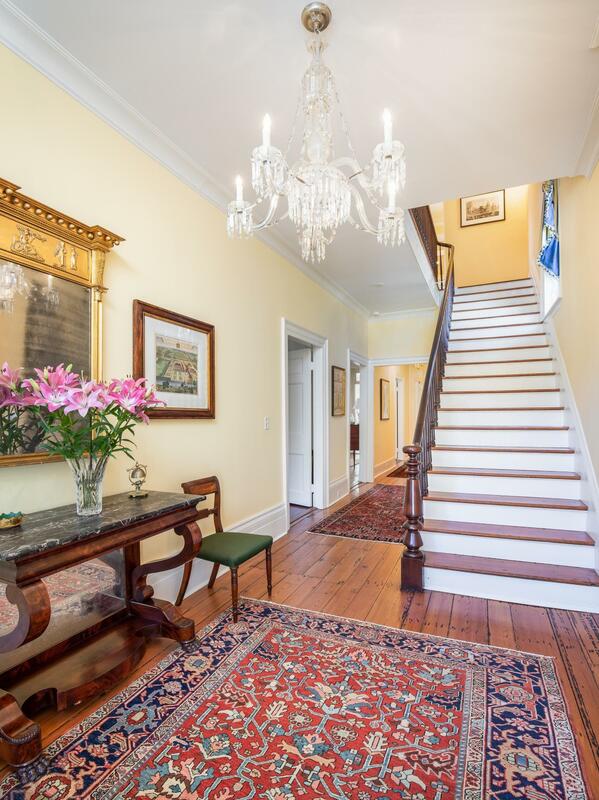 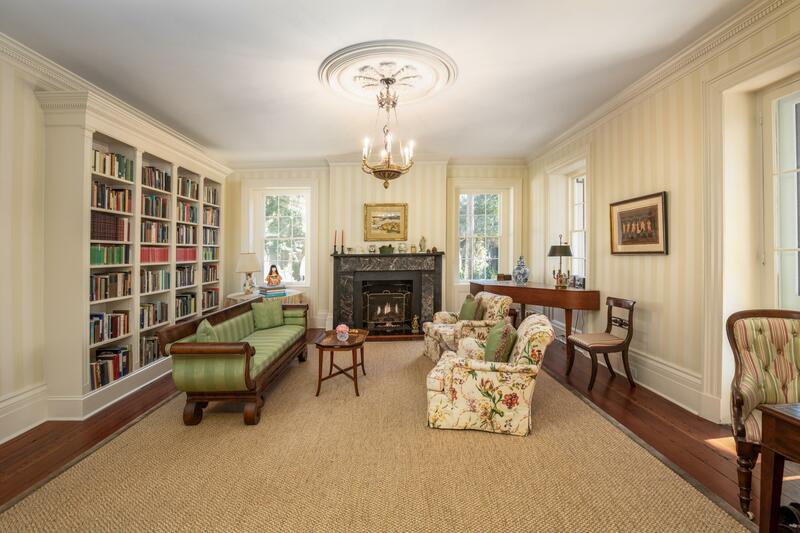 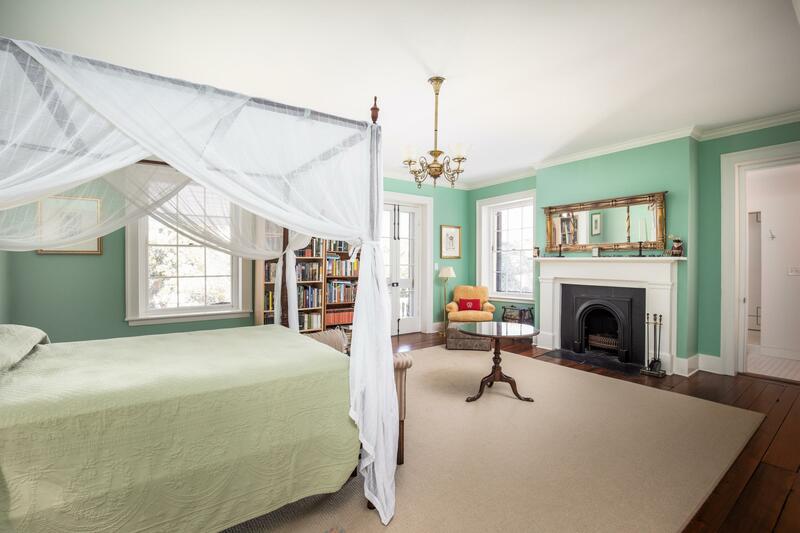 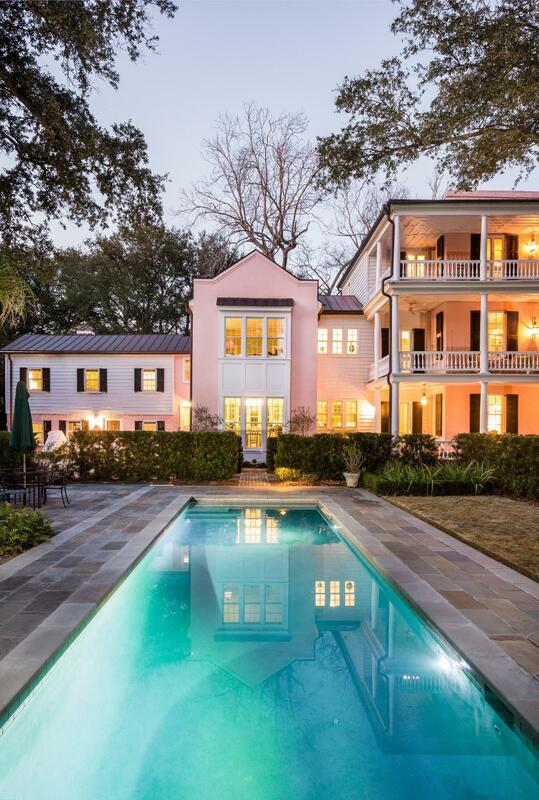 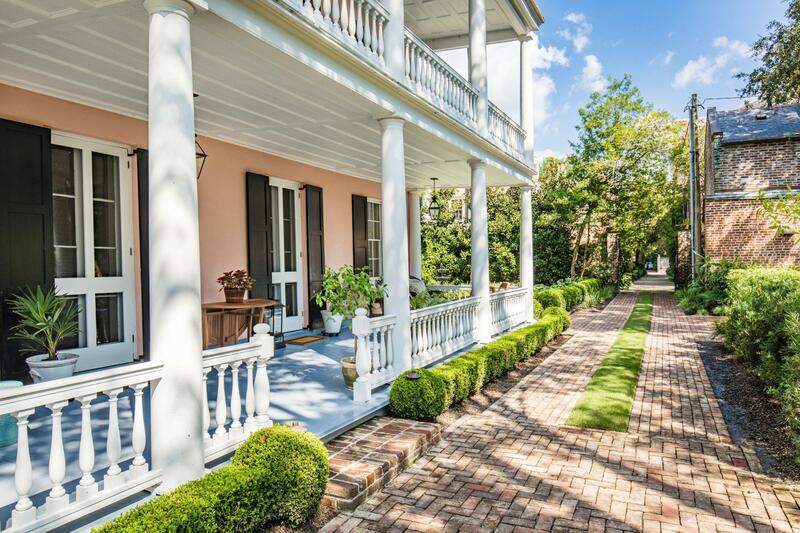 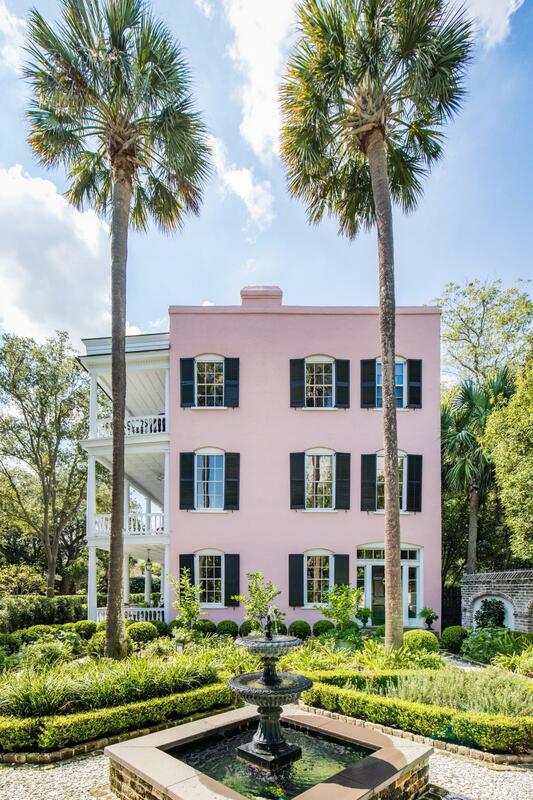 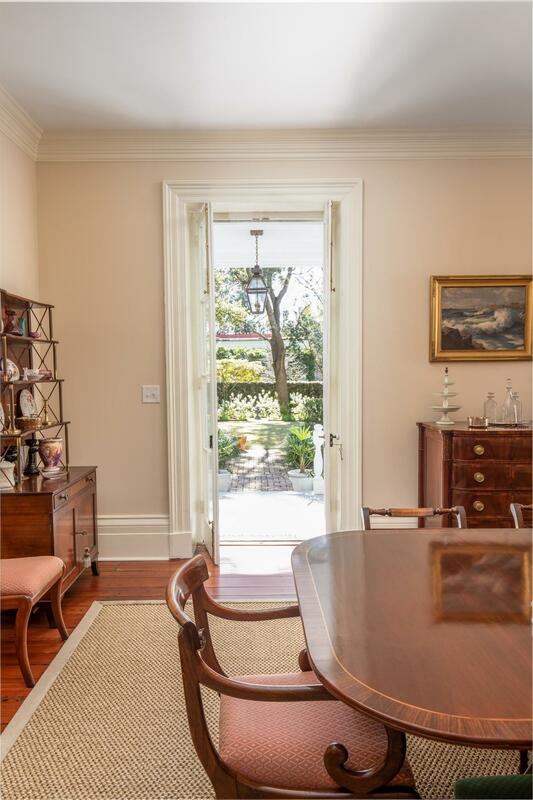 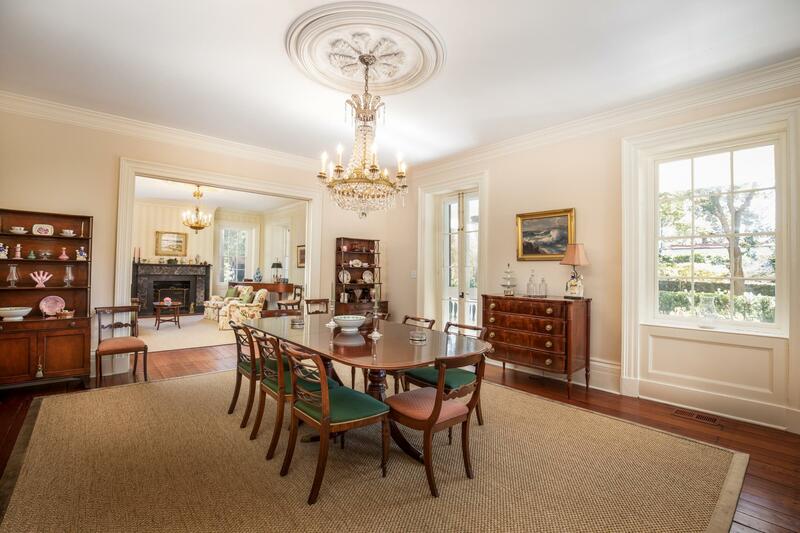 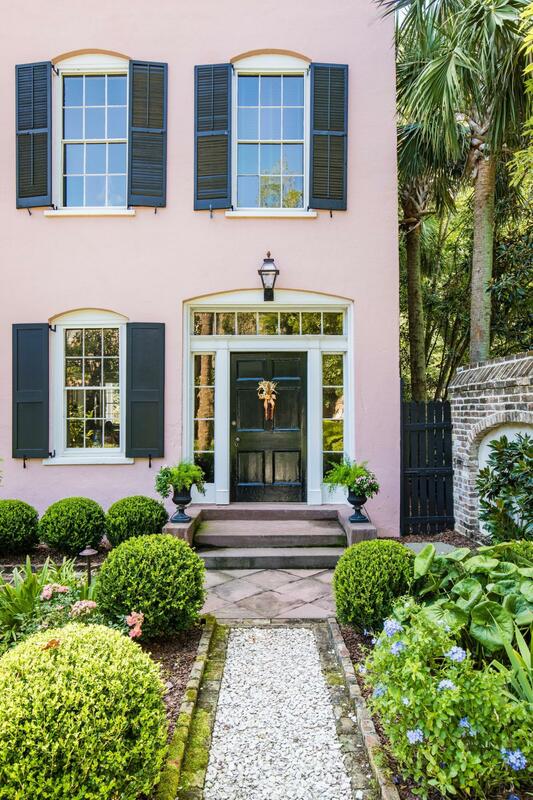 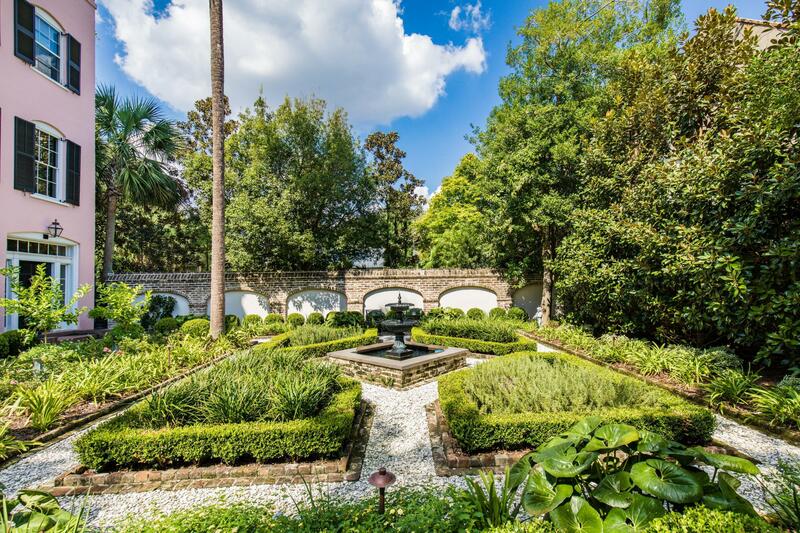 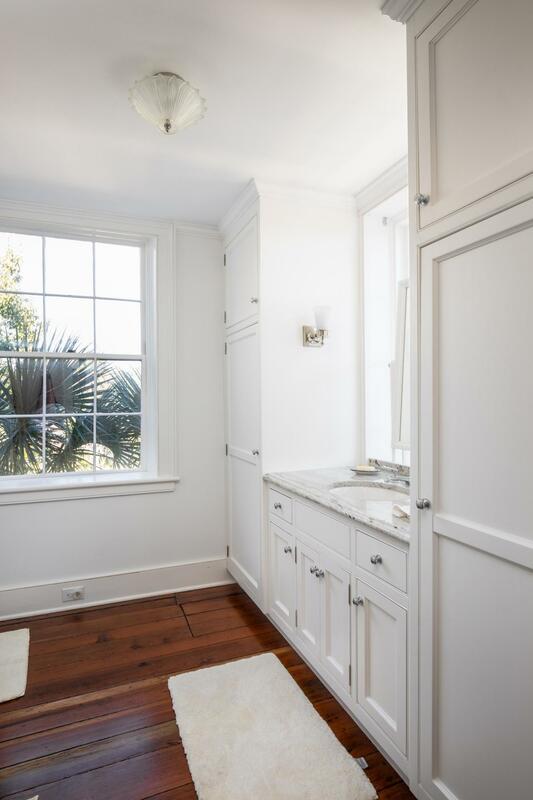 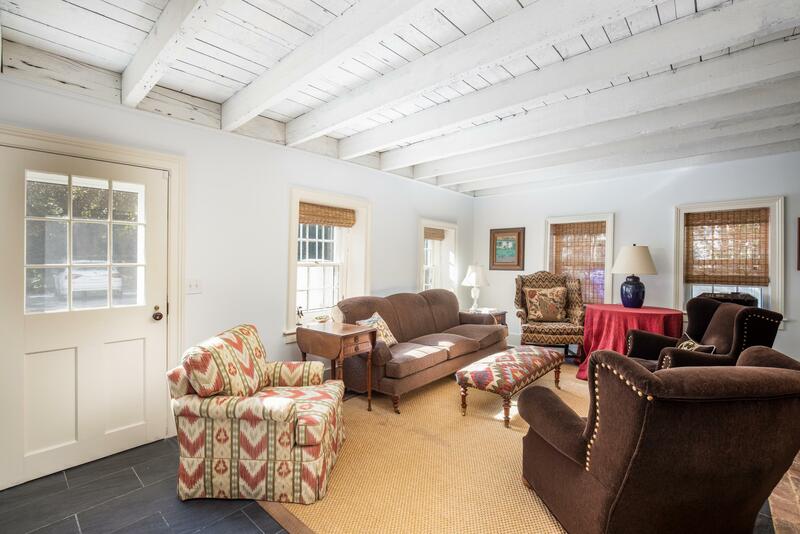 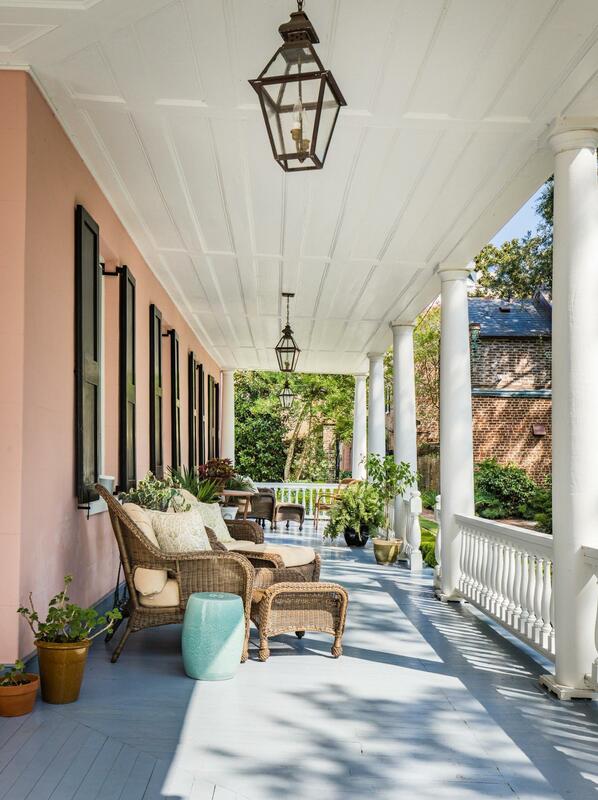 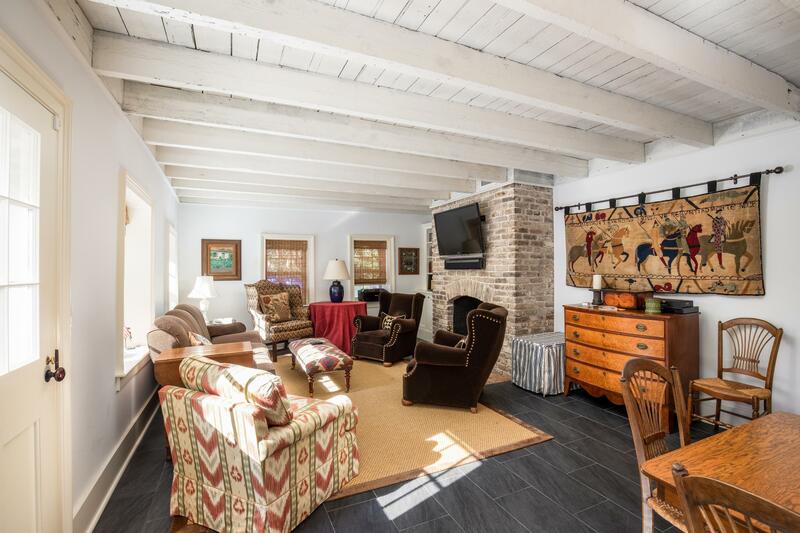 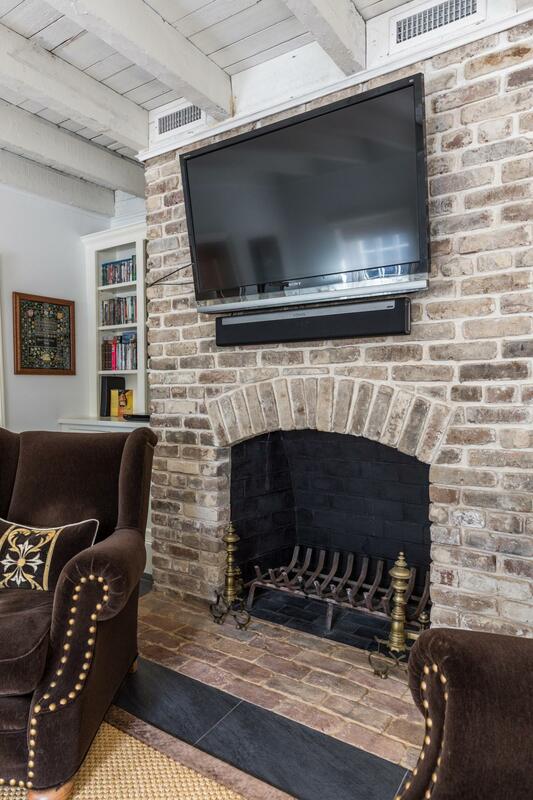 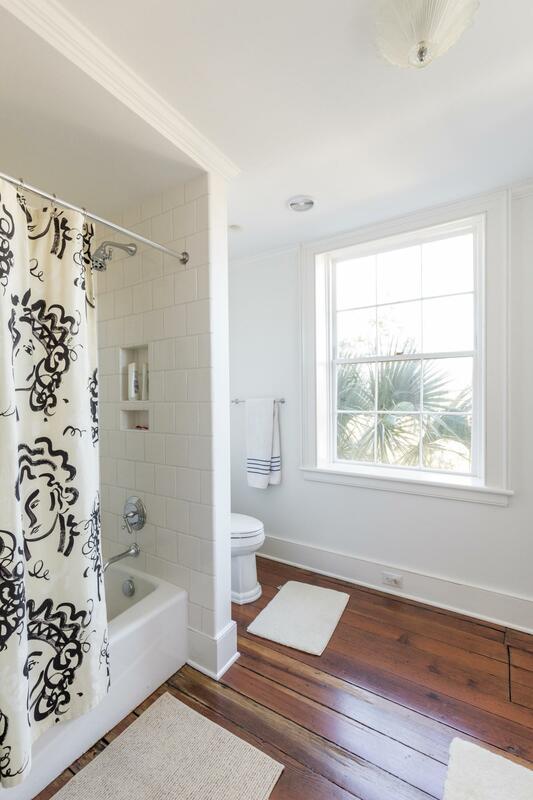 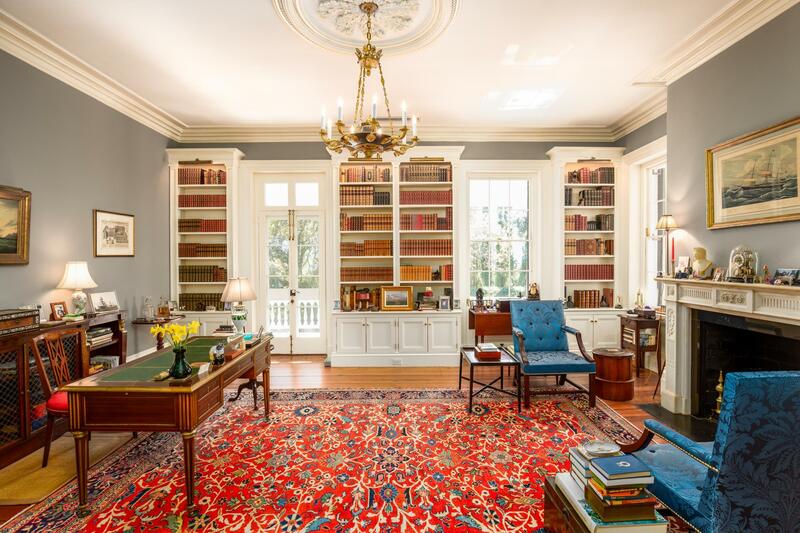 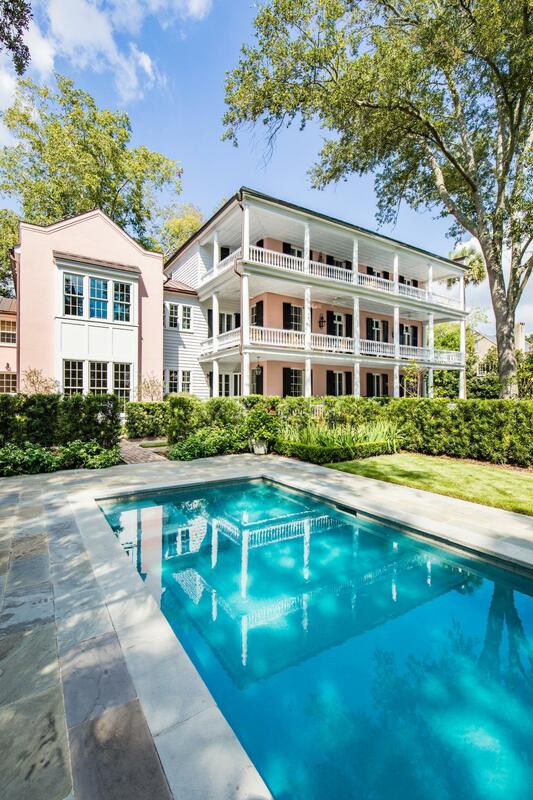 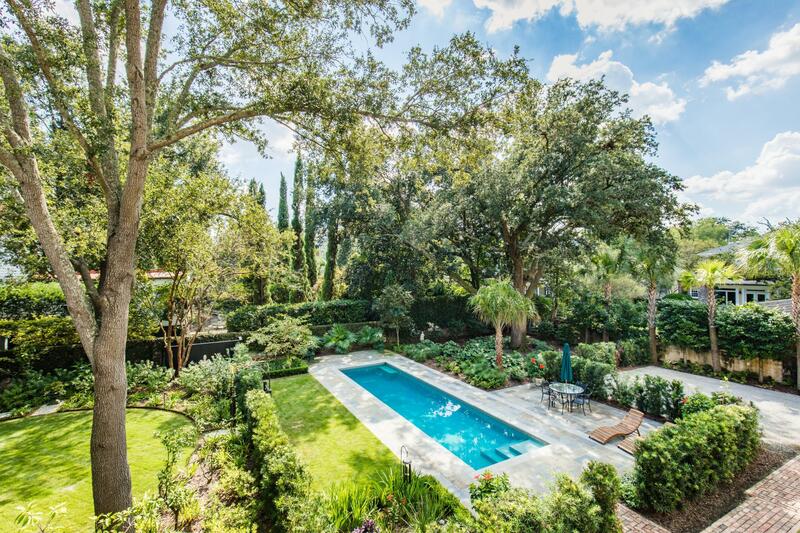 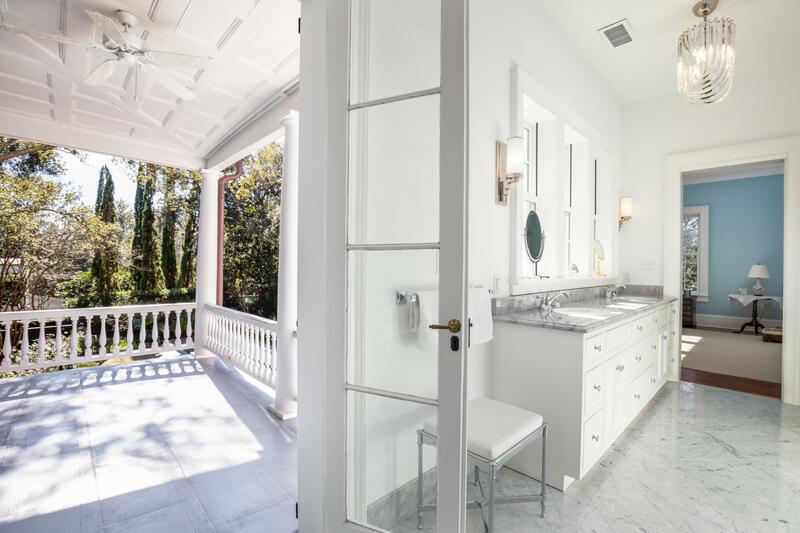 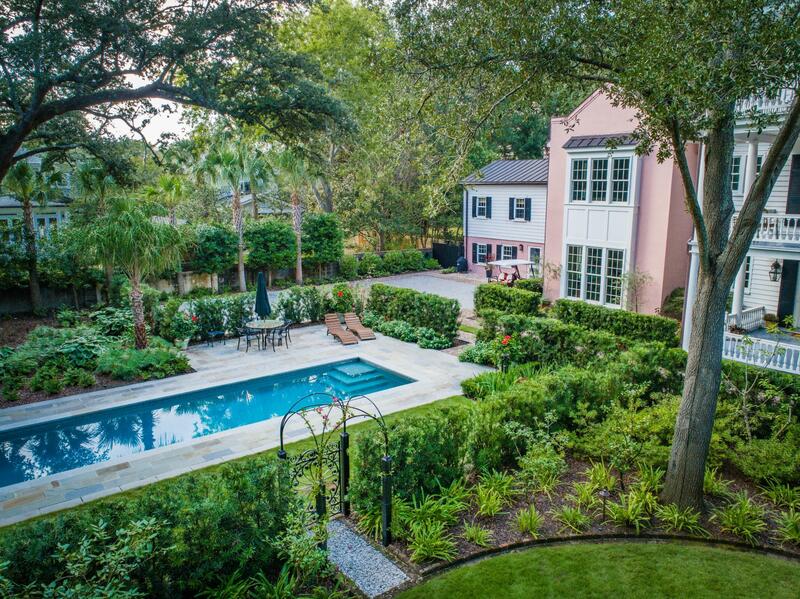 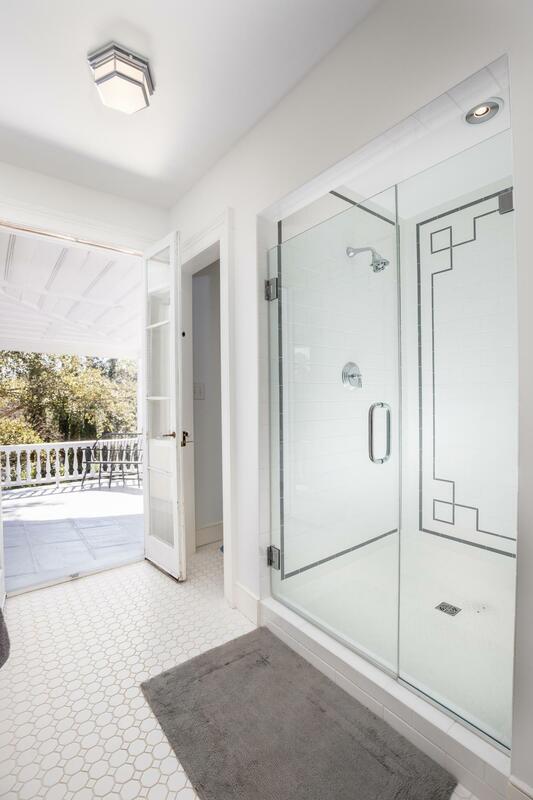 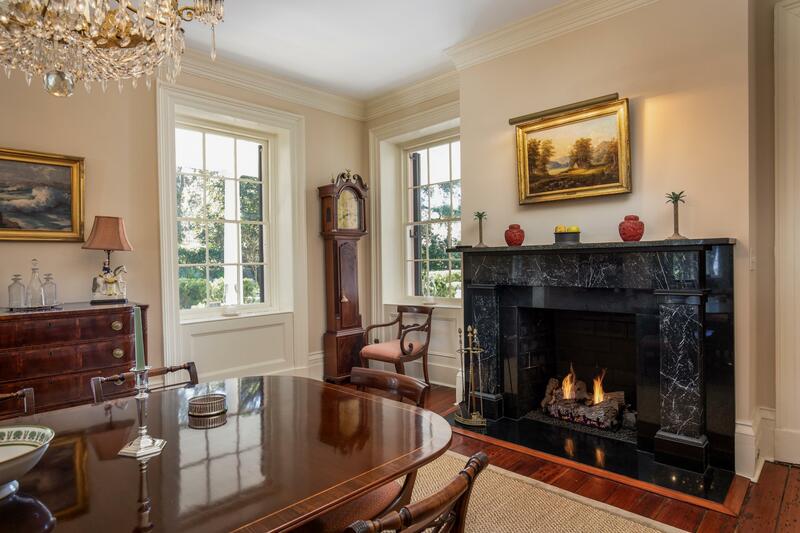 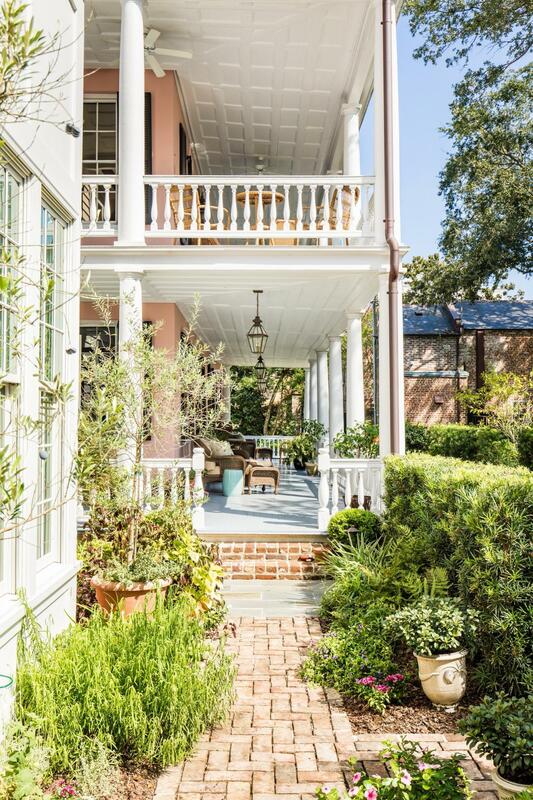 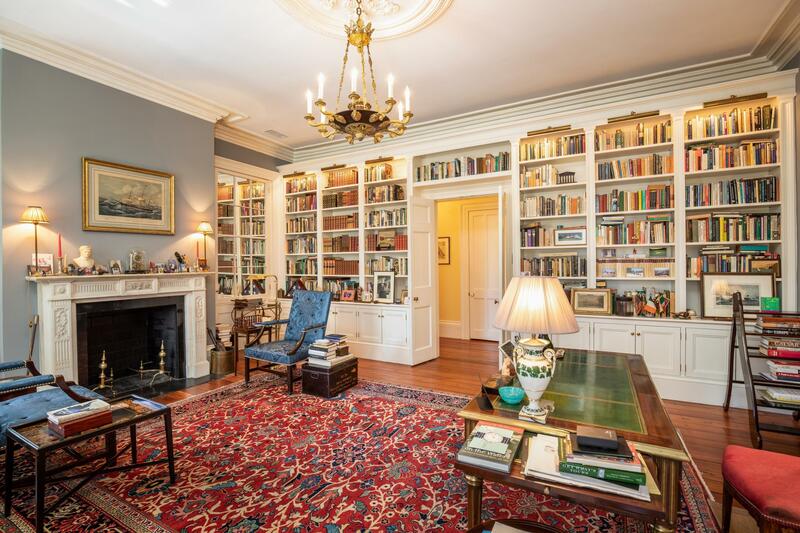 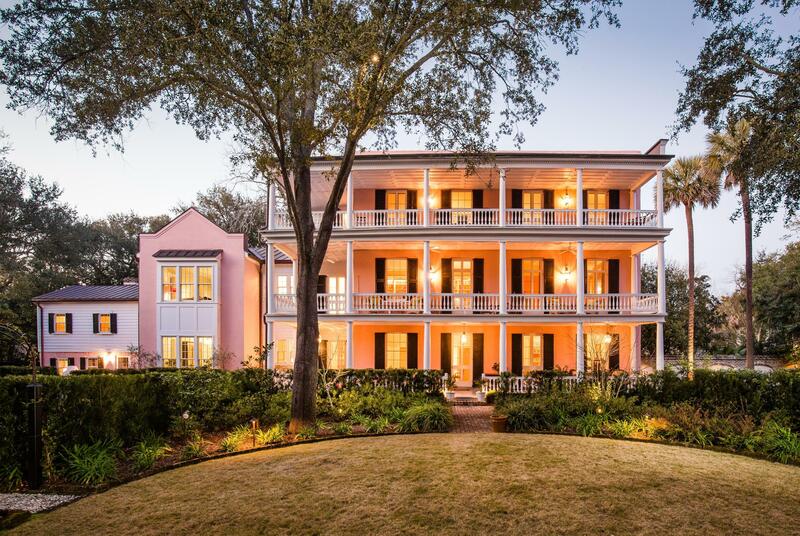 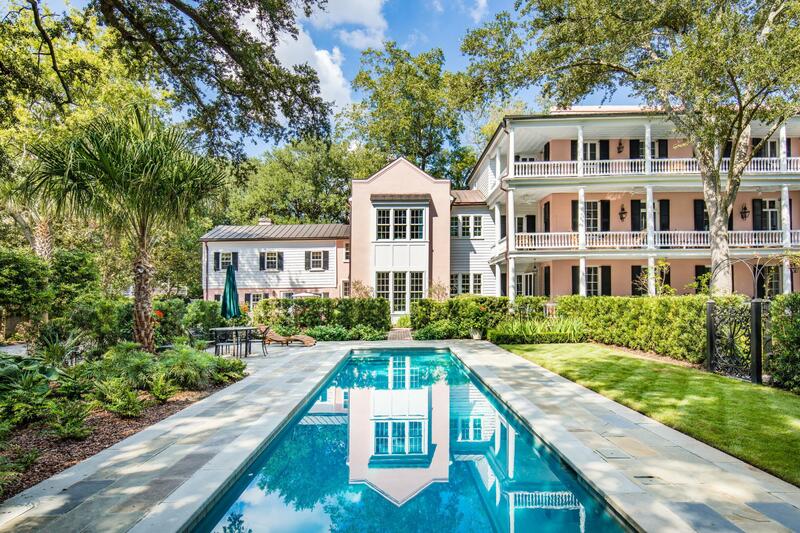 This highly desirable property is located in the heart of the &apos;&apos;Estate Block&apos;&apos; of lower Legare Street, south of Tradd Street, surrounded by the largest concentration of historic mansions in the city. 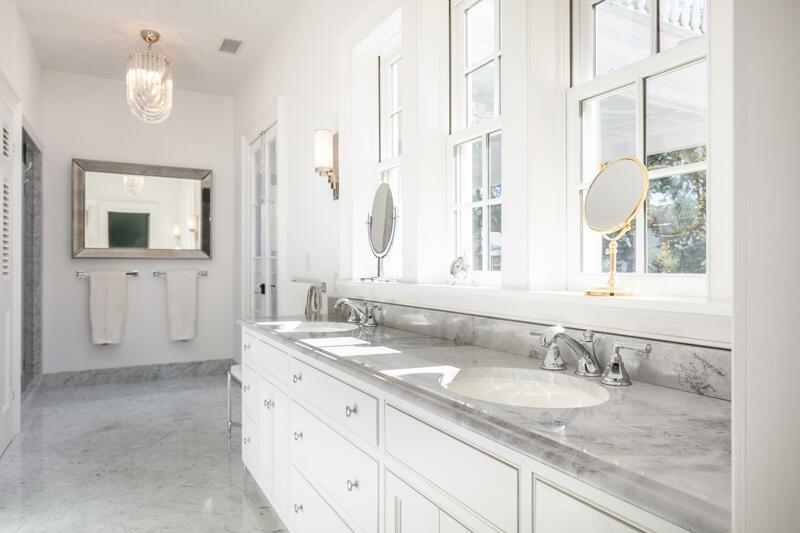 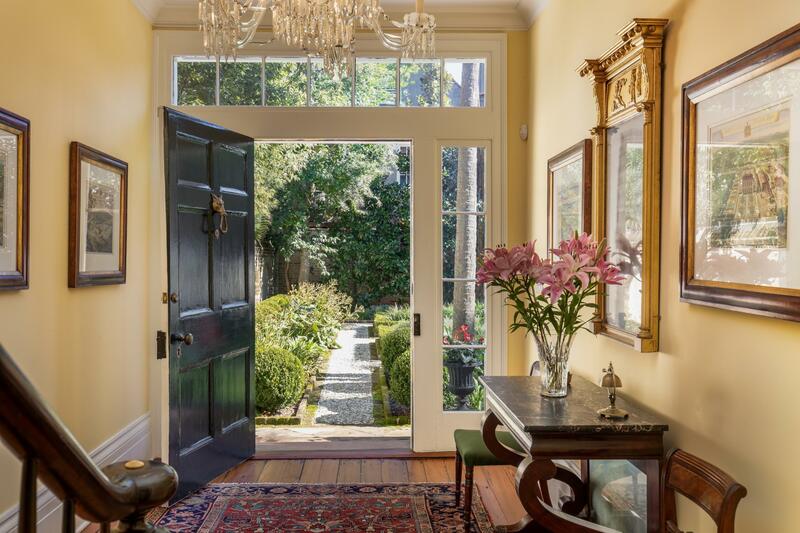 The historic home, as well as its spacious grounds, were recently restored in a 2 year project guided by local architect Glenn Keyes, restoration contractor Richard Marks and landscape architect Sheila Wertimer.(More...) 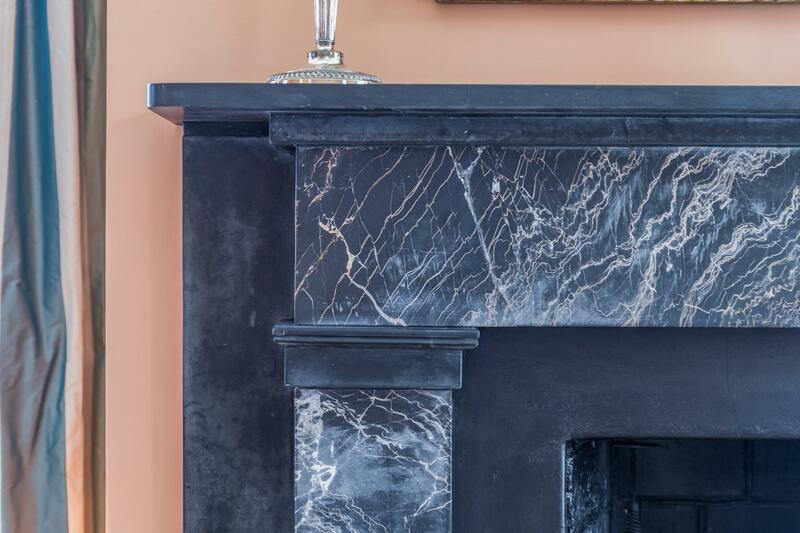 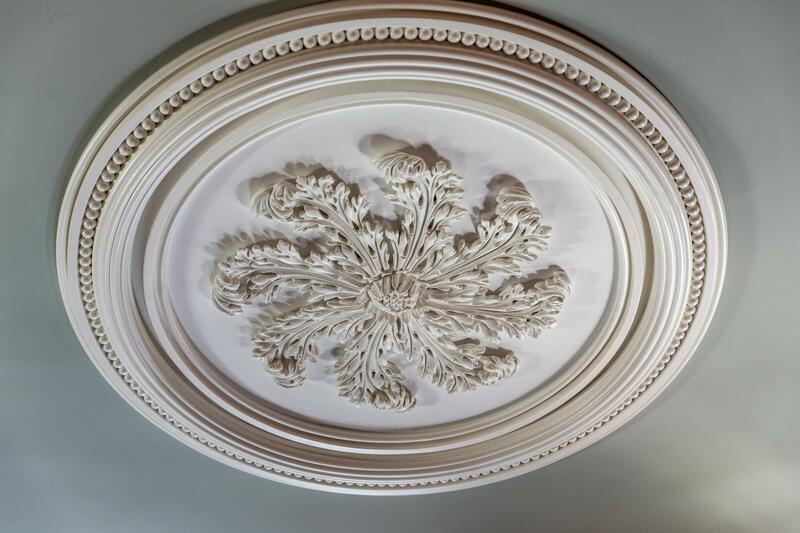 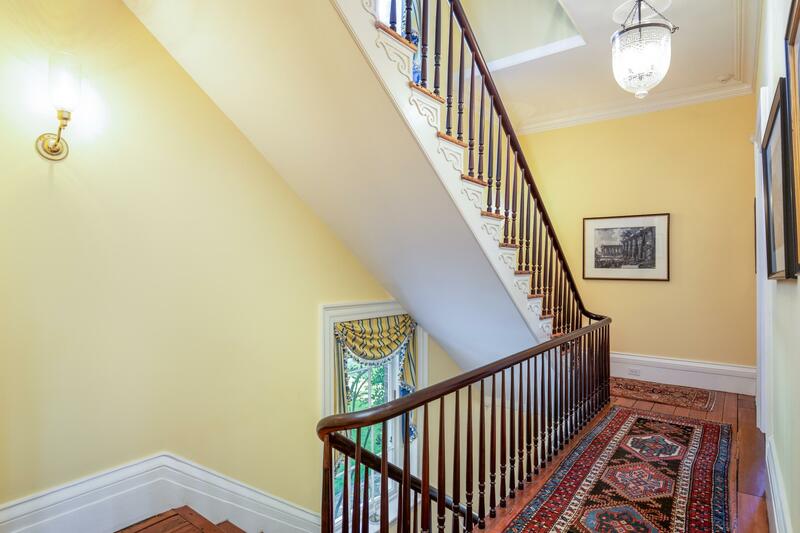 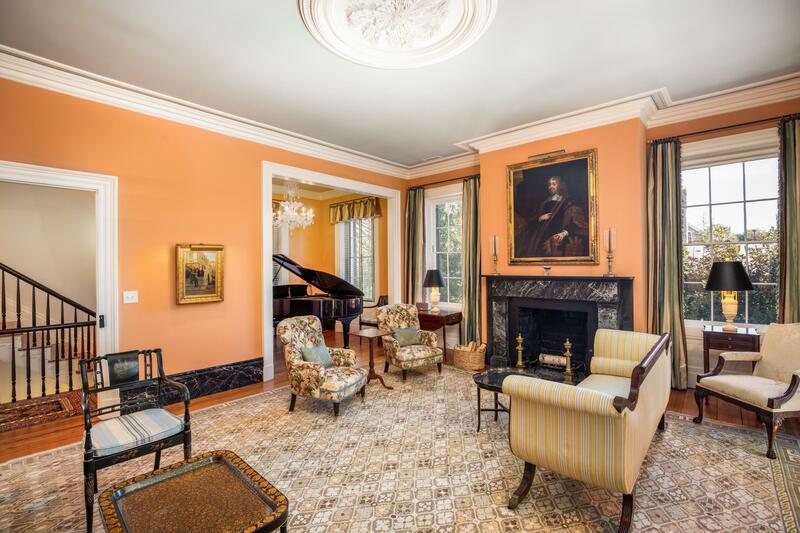 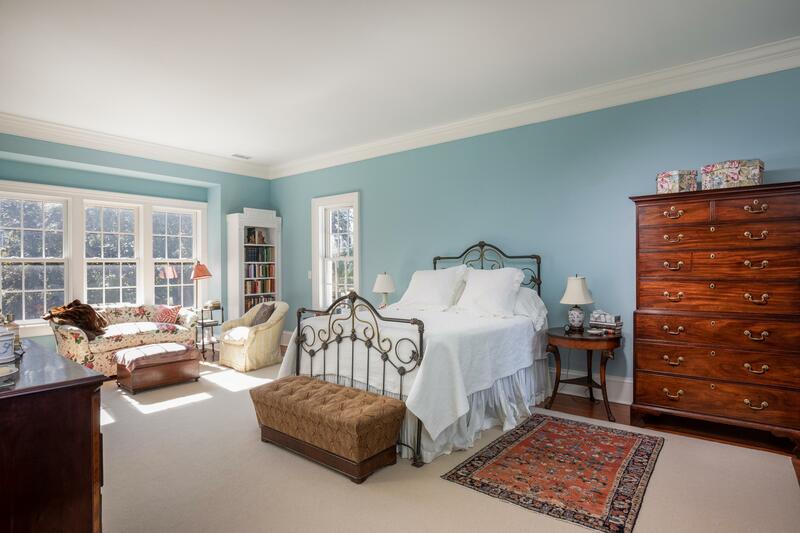 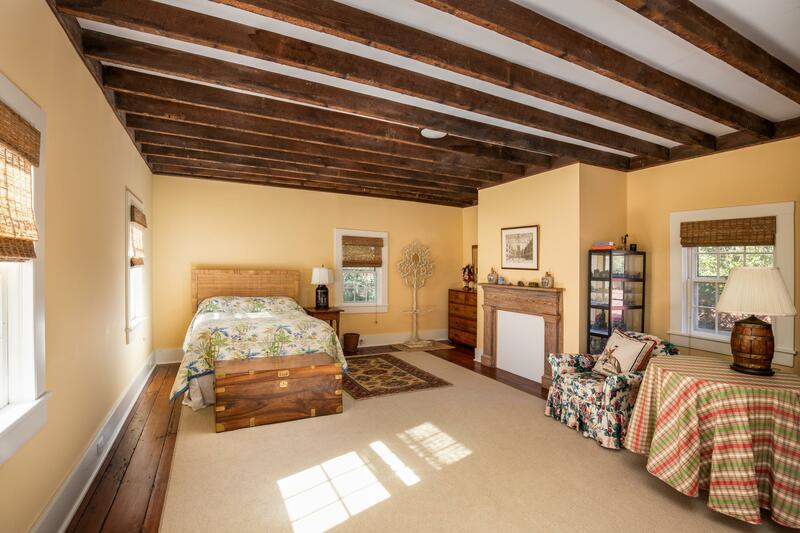 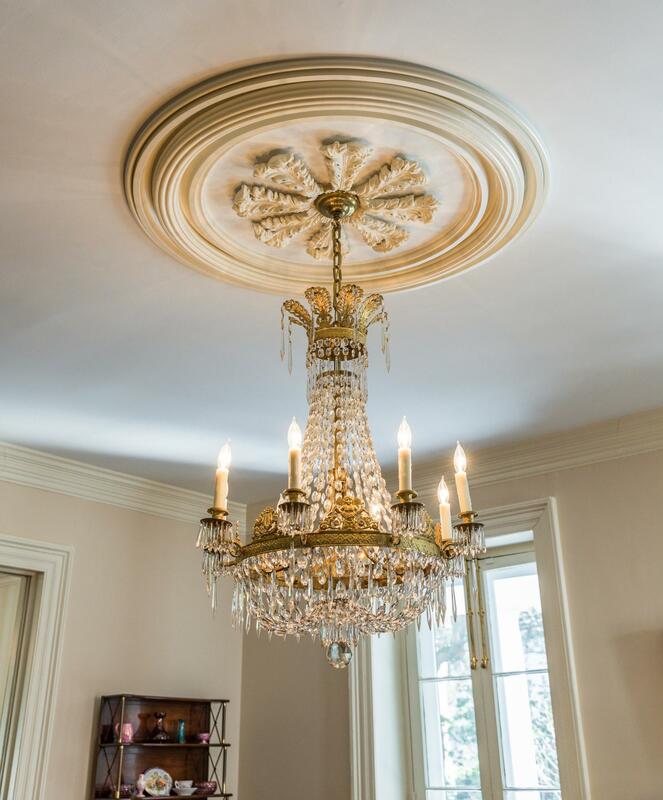 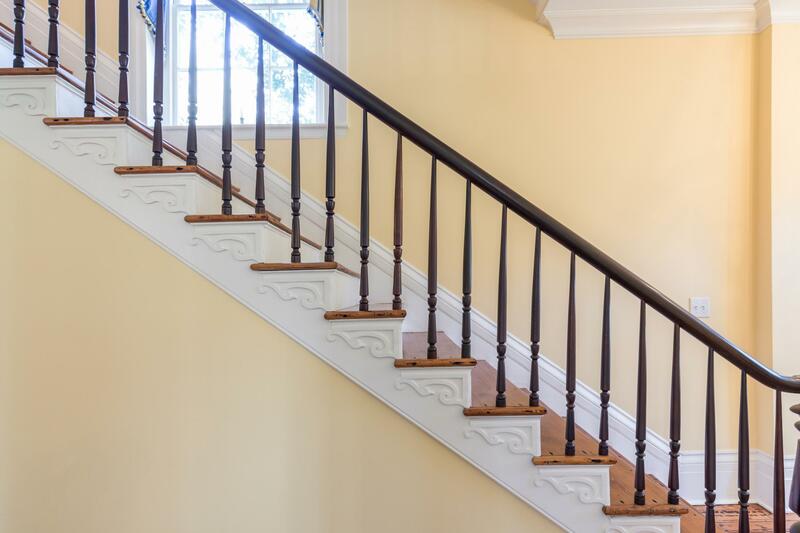 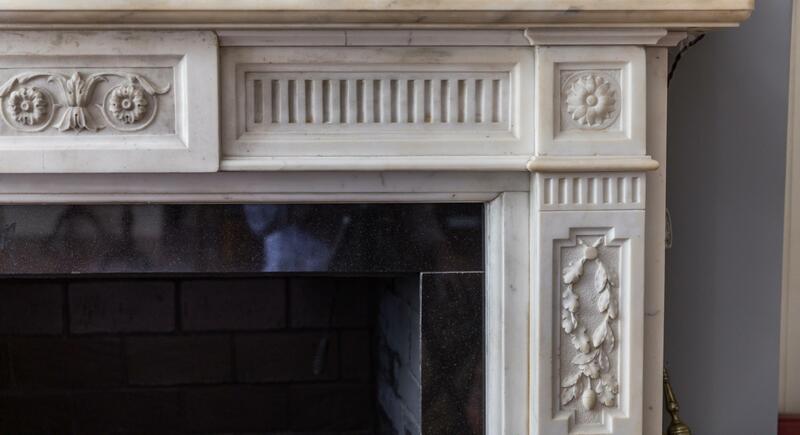 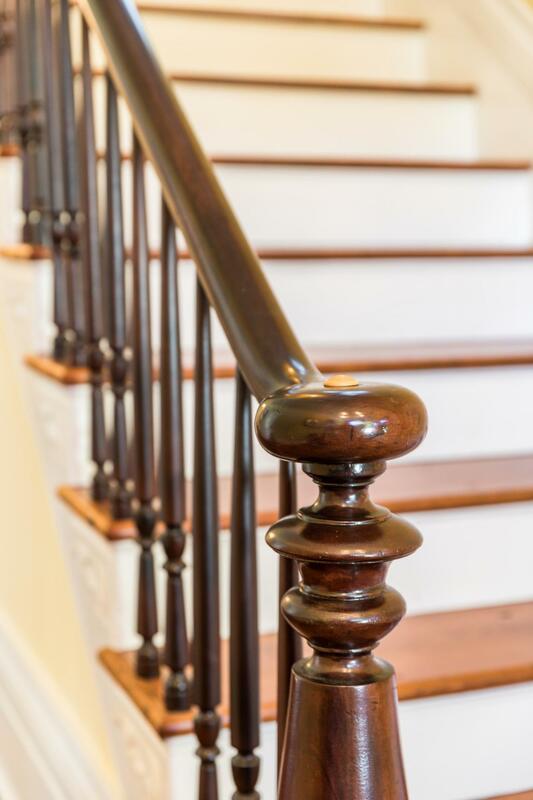 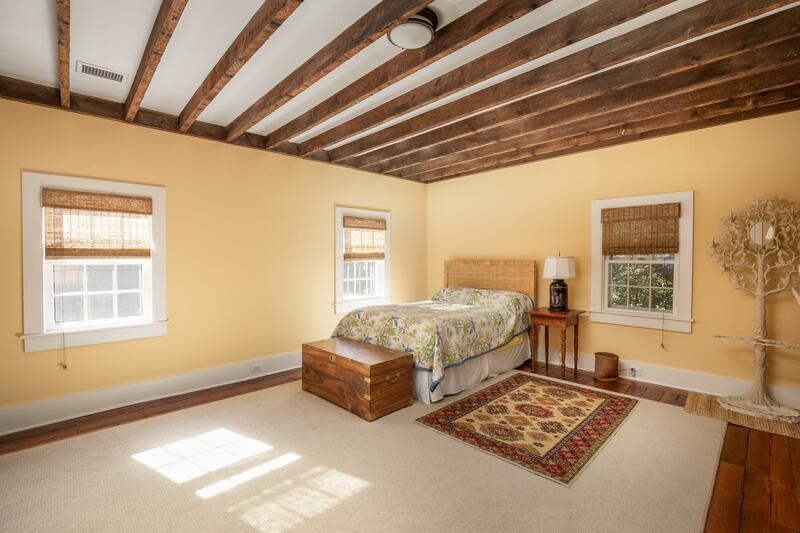 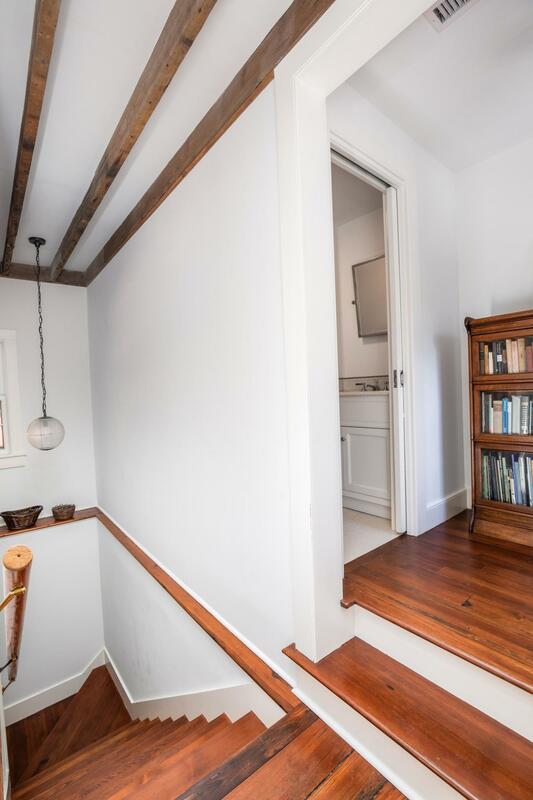 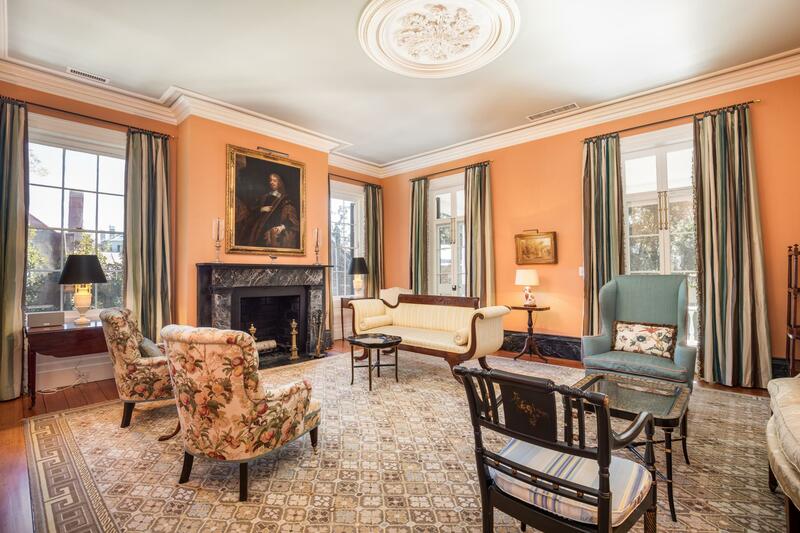 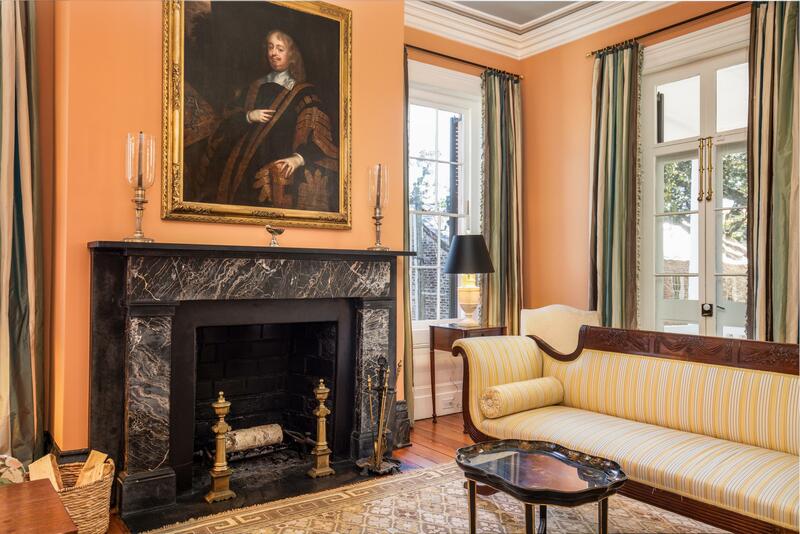 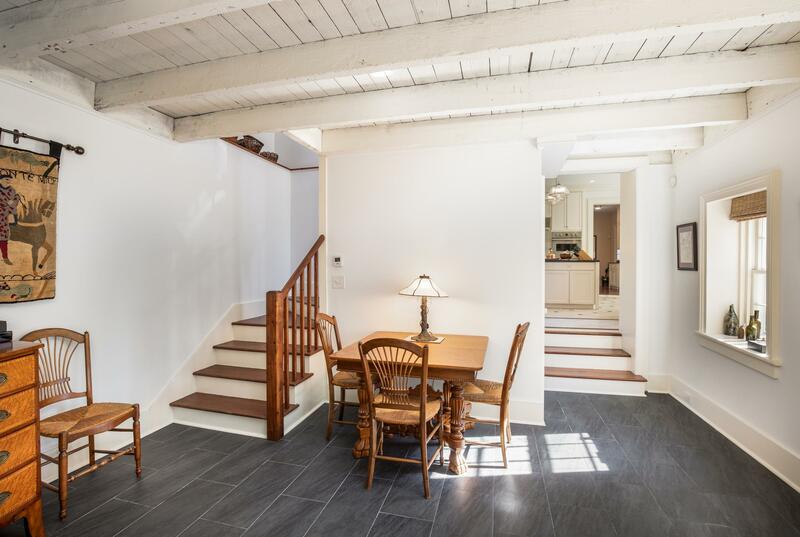 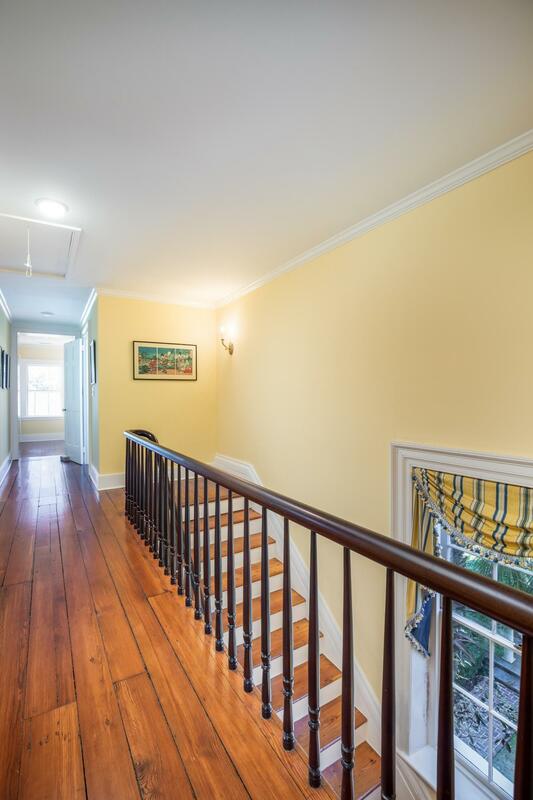 Historic details such as cornice moldings, mantels, stair rails and floors were sensitively restored throughout. 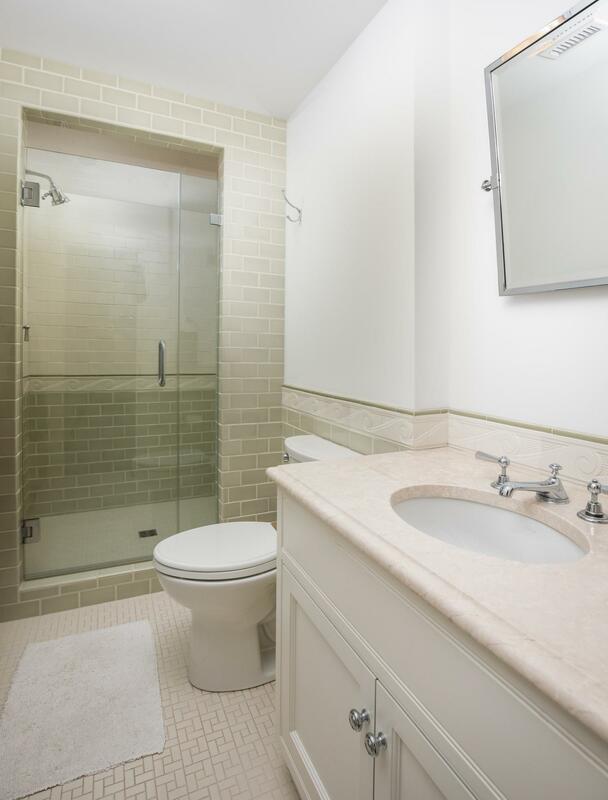 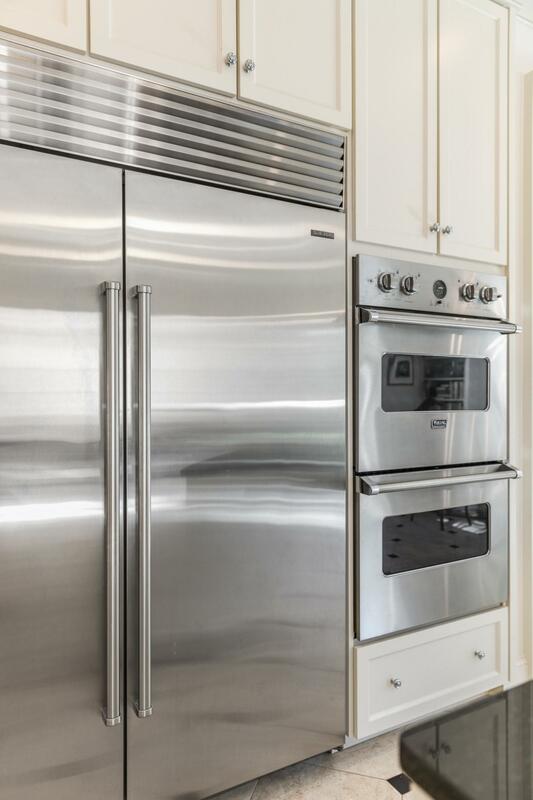 All new systems were installed including HVAC, plumbing and electrical. 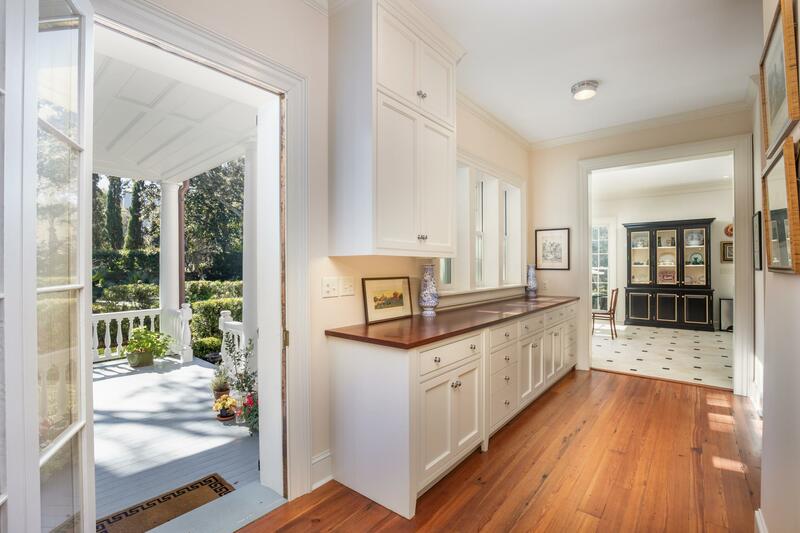 Also added were new kitchen/baths, an elevator serving 3 floors of the main house and a sun-filled hyphen beautifully connecting the main and kitchen houses. 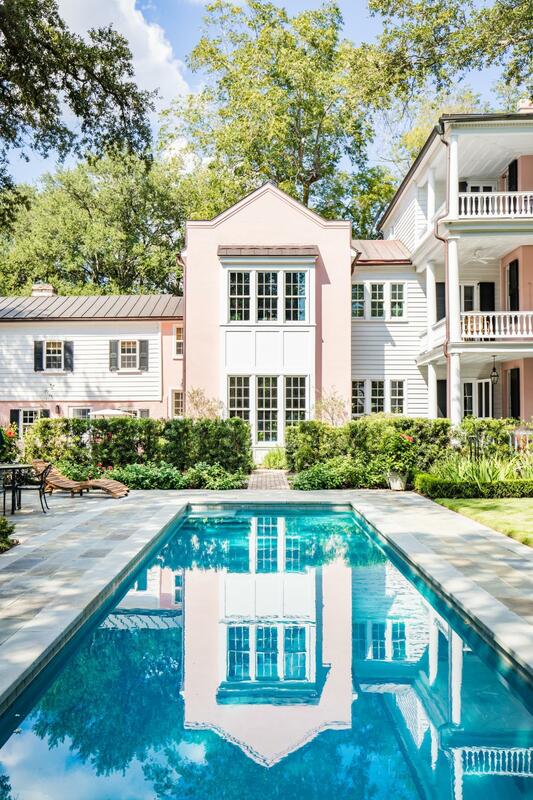 Each addition blends seamlessly into the historic fabric of the house and assures convenience within a gracious setting. 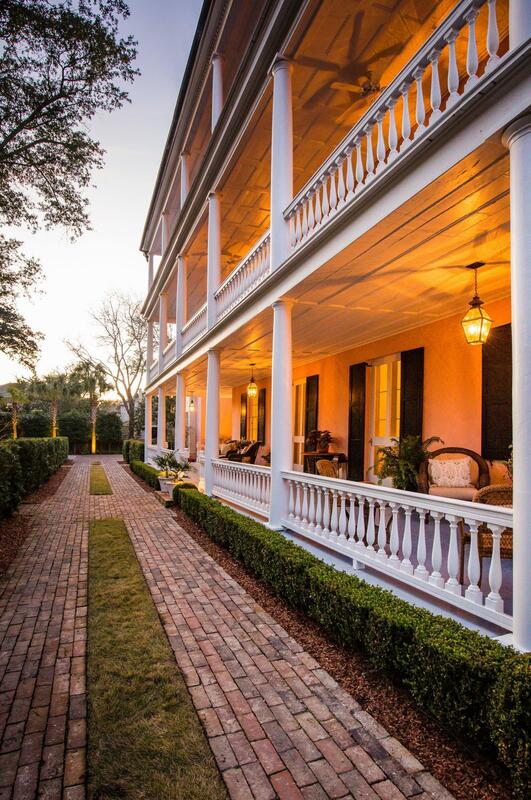 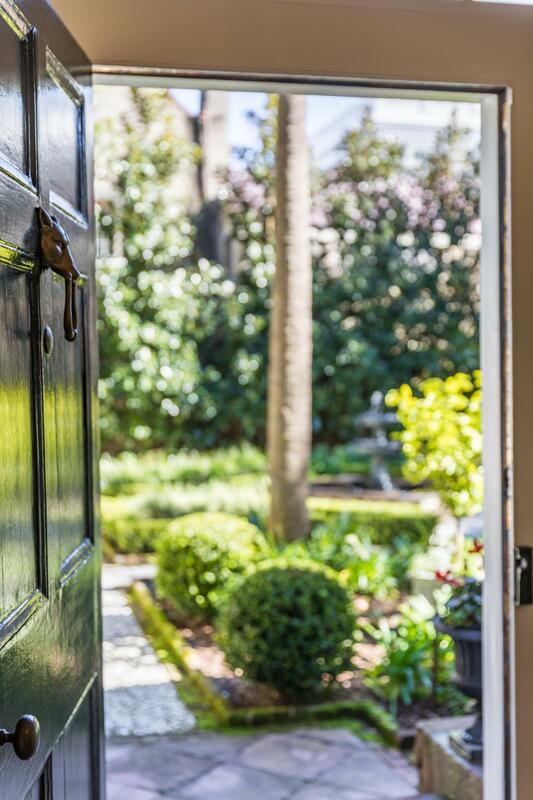 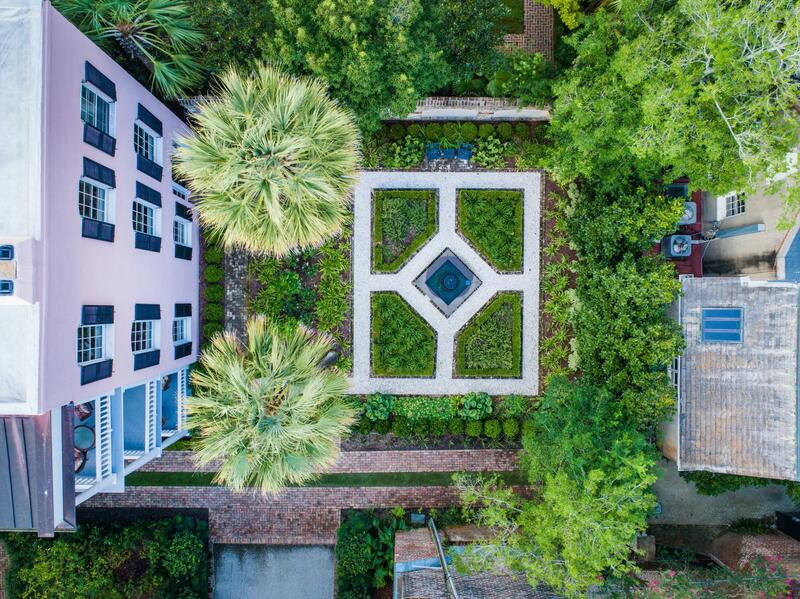 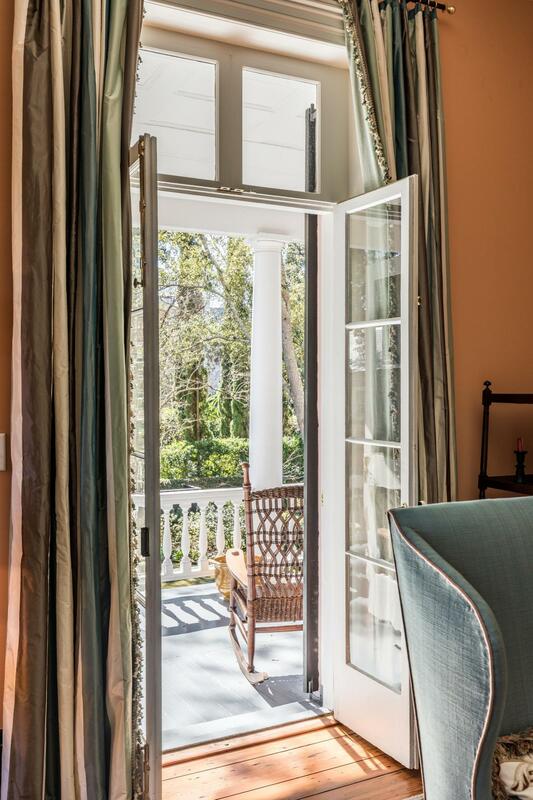 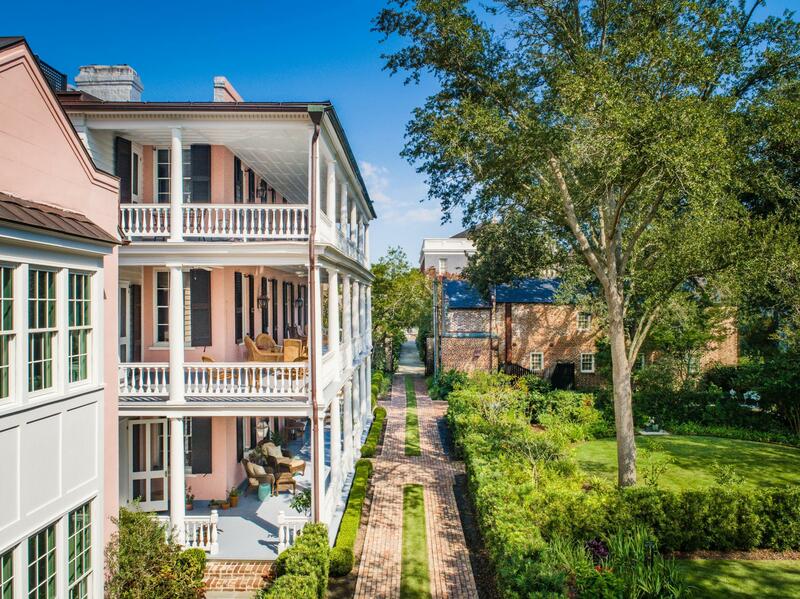 The exterior is classic, early 19th century stucco over masonry brick and graced with triple-tiered piazzas offering beautiful garden views from all the rooms in the main house. 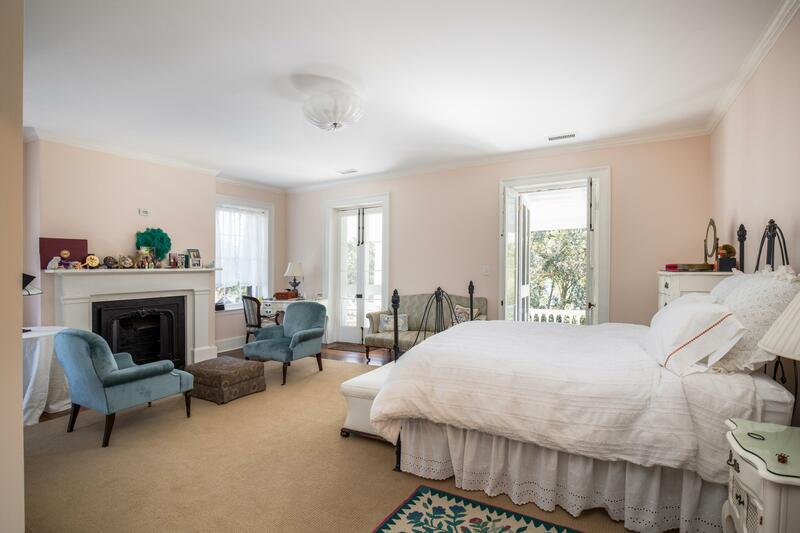 The bedrooms are all ensuite with individual bathrooms and have at least 10 foot ceilings in the main house even on the third floor. 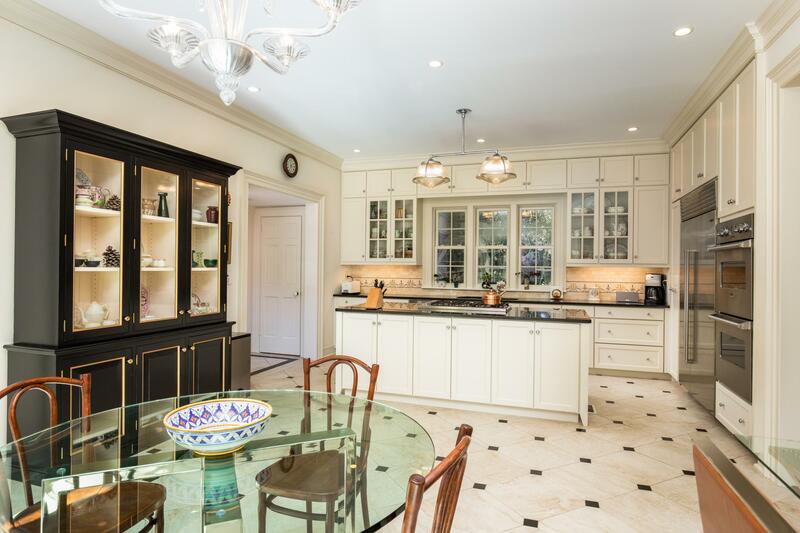 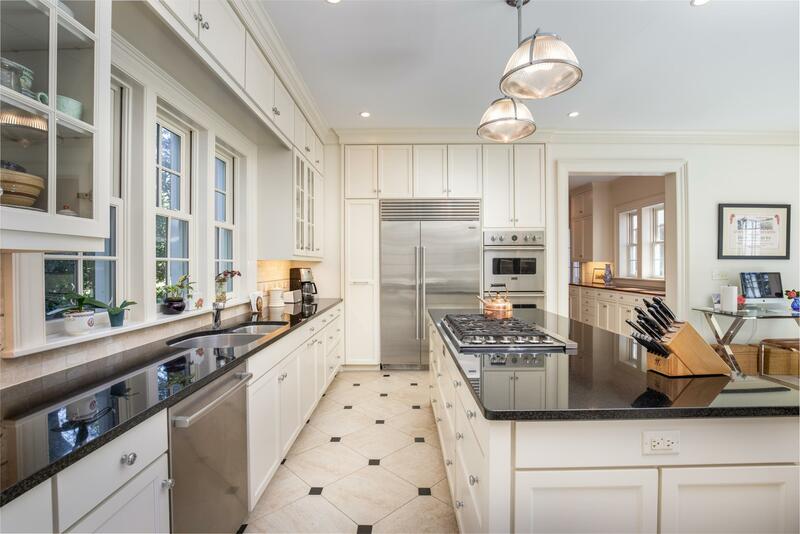 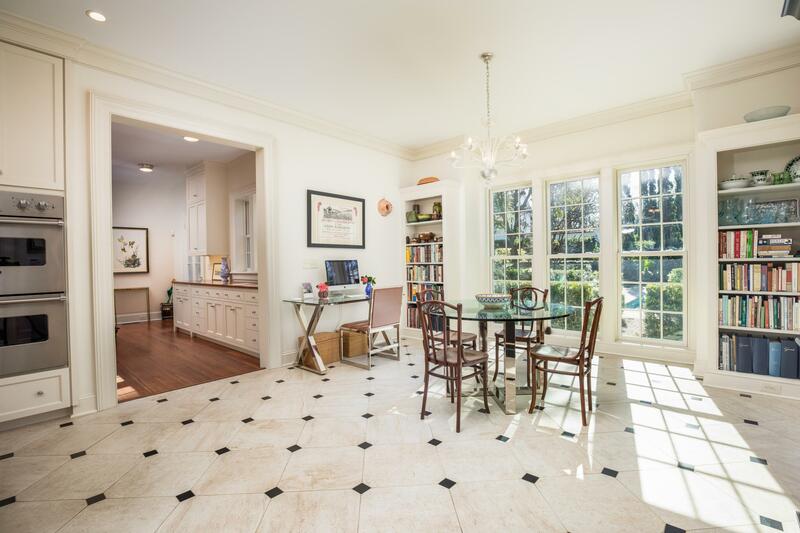 The generously proportioned kitchen has a wall of south facing windows overlooking the pool and gardens. 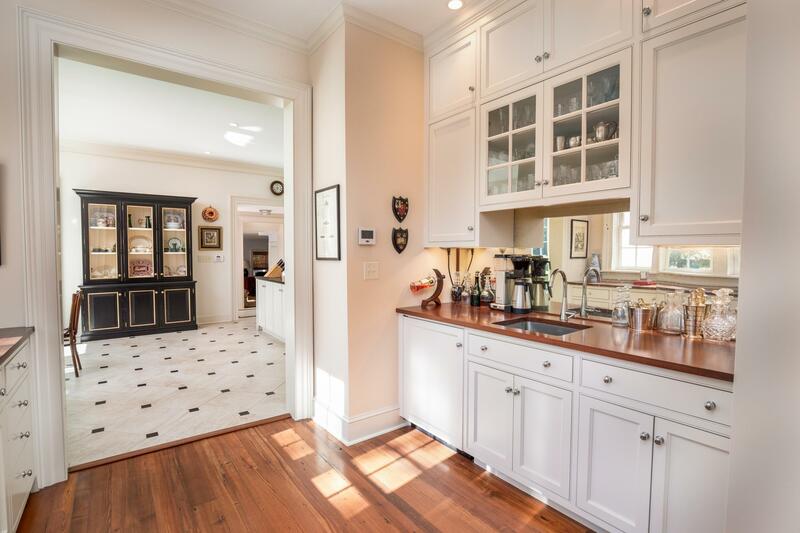 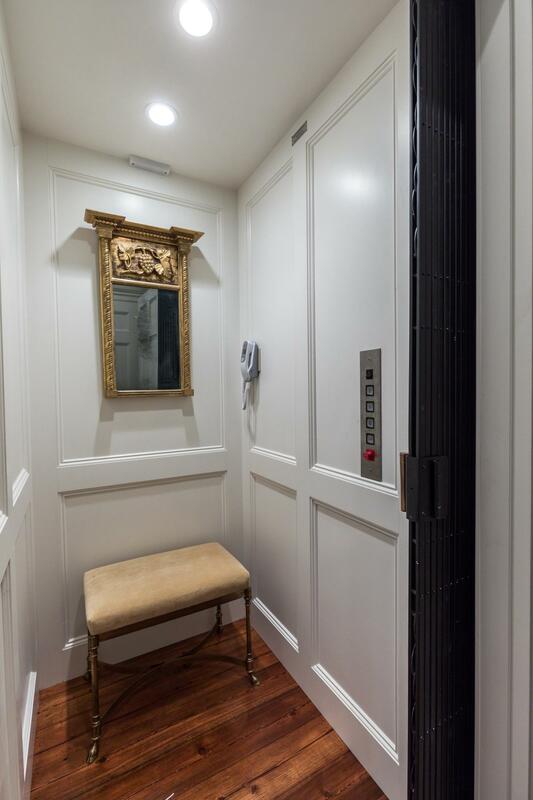 Near the kitchen is a butler's pantry and a temperature controlled room for wine storage. 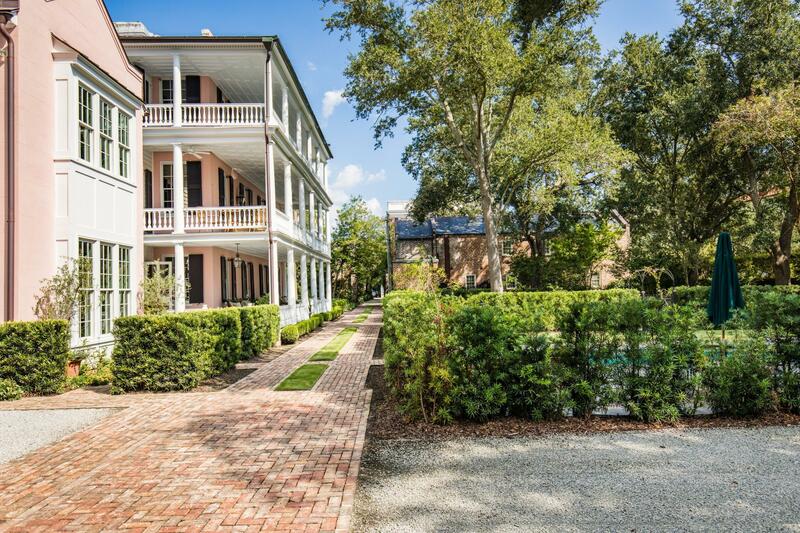 There is ample parking for 6 cars. 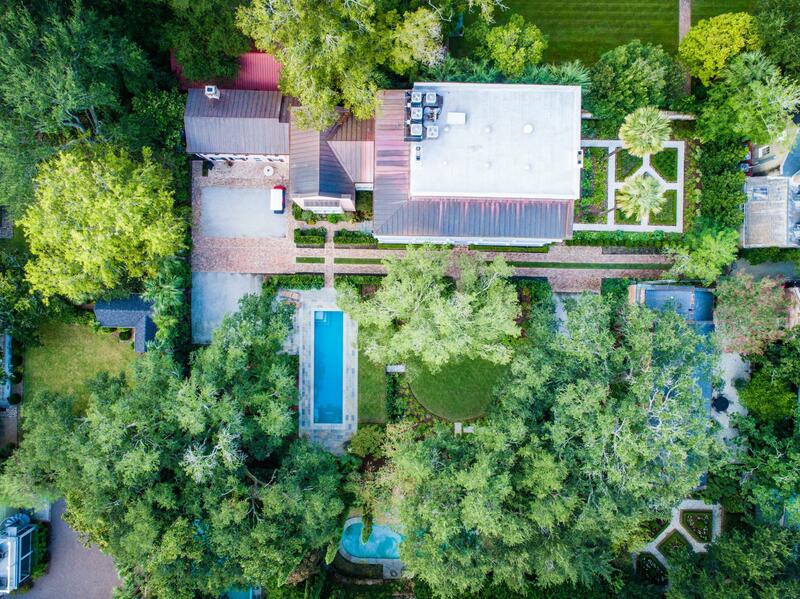 Just beyond the pool is a location with underground conduits already in place to accommodate a garage with living quarters above if desired. 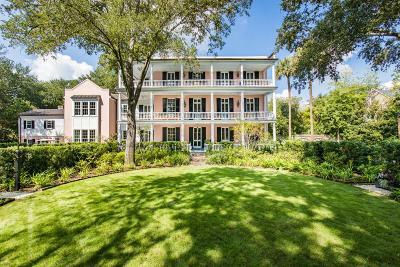 There are no historical or conservation easements in place.